I can’t remember the last time I actually took the effort to dress up in costume. 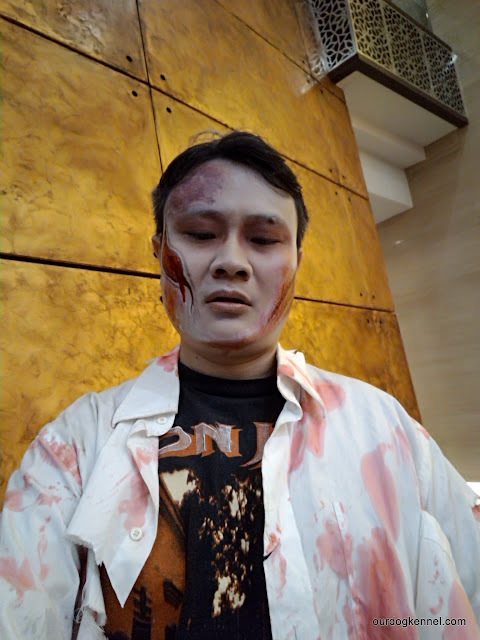 But when my company decided to organize a rock-zombie themed dinner event, I seized the opportunity to costume up like the walking dead. After all, who doesn’t love to play zombies these days, right?! 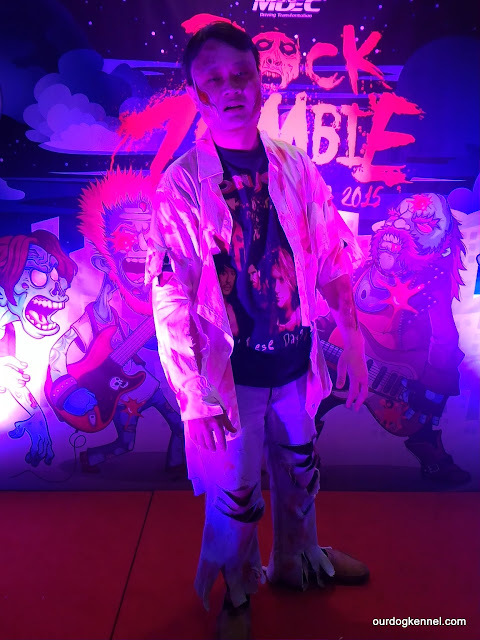 In the process of getting myself zombified, I actually surprised myself at how budget-friendly it was to DIY my own zombie costume and make-up! I discovered most of the required stuff can be scavenged from within my very own house! 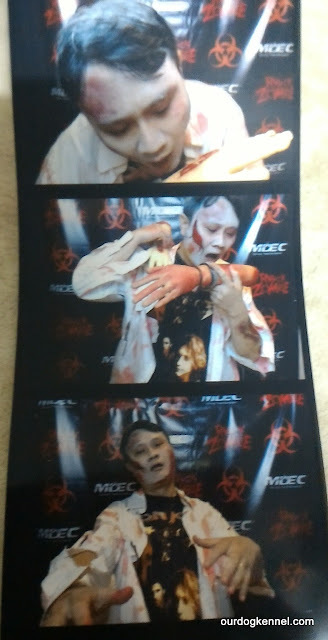 Thus, for the benefit for future zombie wannabes, I thought I’d share my budget-friendly zombie makeover steps! Enjoy! 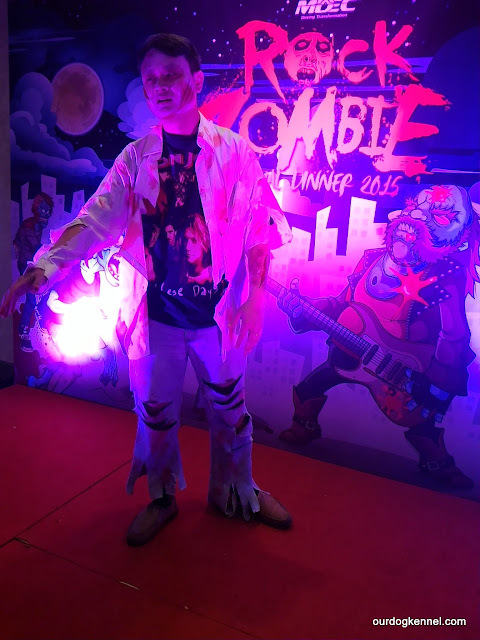 The simplest zombie apparel would be shredded shirt and pants. Scavenge your home for those really old shirts that you never (and will probably never) wear anymore. White colour would be ideal; as well as any old pair of jeans/slacks/shorts. 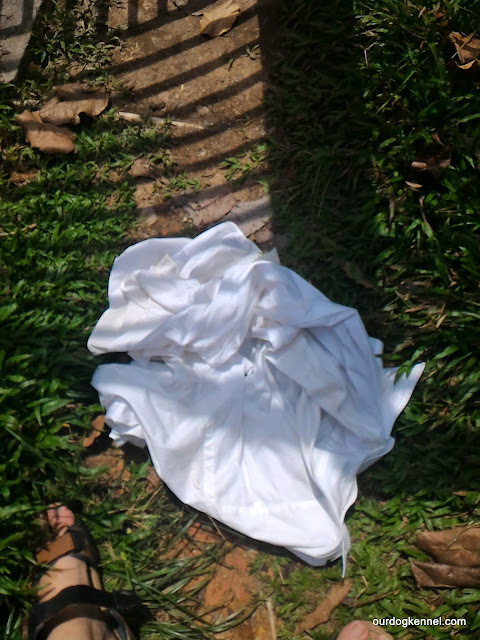 I was fortunate to find a mouldy, old white shirt lying in my closet which I was definitely not going to wear anymore, as well as a pair of semi-ripped (and torn) jeans, which was going to be thrown away at some point of time anyway. 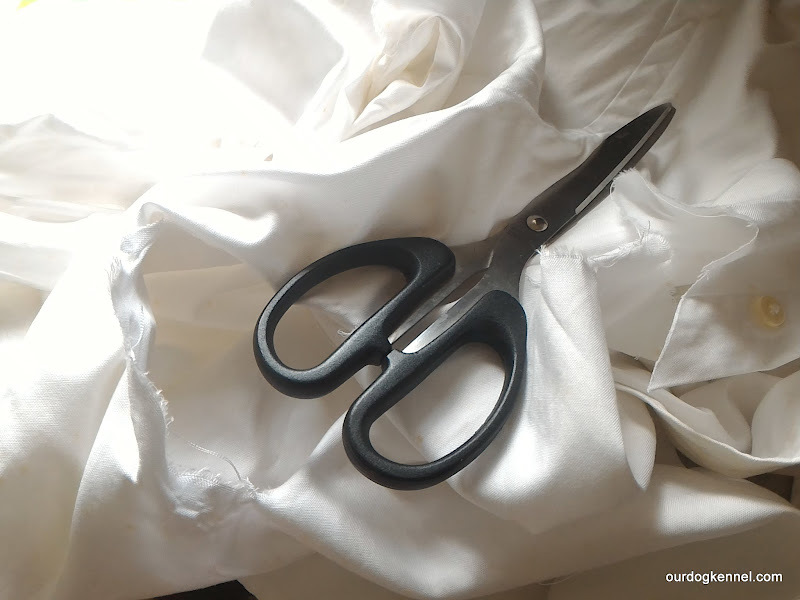 Use a pair of sharp scissors to cut into the shirt/pants and use your hands to rip away! 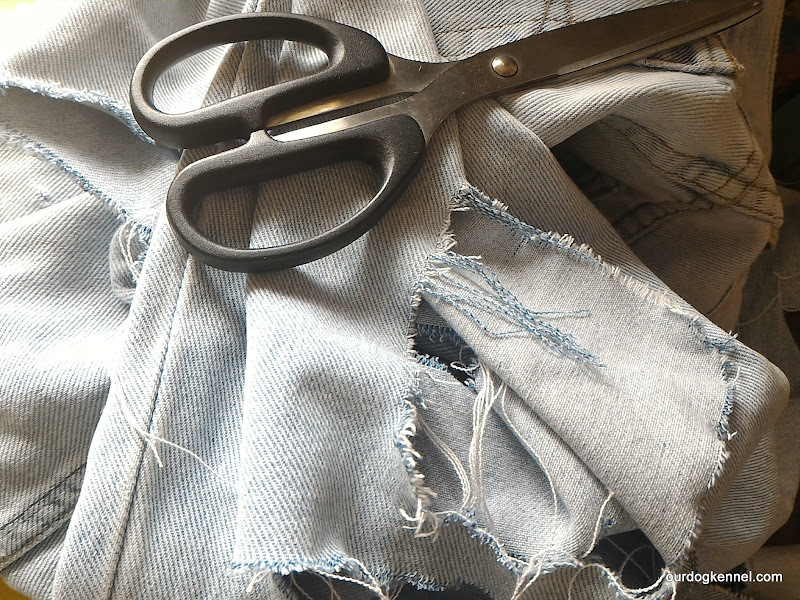 Try not to use the scissors to do the ripping. I found that hand ripping makes the tear looks more natural and realistic. After you are satisfied with your new apparel creations, find some spot on the ground where there’s sand. Roll your shirt and pants there to smudge it up more with dirt. I merely dropped it in my garden and stomped away for 5 mins. рџ› For more dramatic effect, you could even dress up with your costume and roll around on teh ground yourself! Haha. 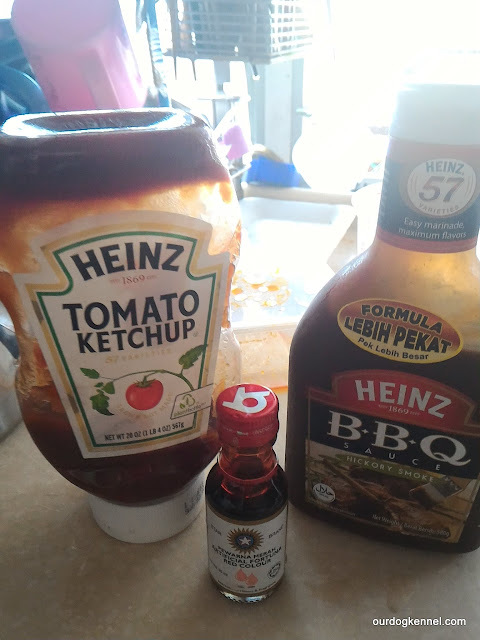 Mix 3 teaspoons tomato sauce to 1 teaspoon of BBQ sauce to about 150ml of water. Drop in half a teaspoon of red food colouring and stir until you get the right consistency and colour. If it is too bright, put in more BBQ sauce. If too dark, add a drip of red food colouring. if too diluted, add in more parts of tomato and BBQ sauce. 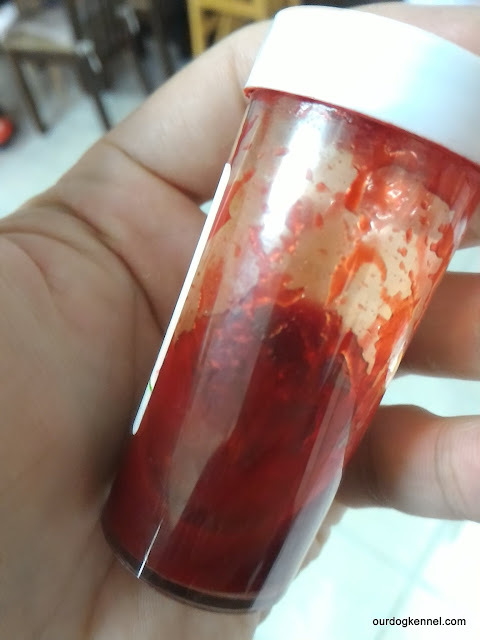 For my project, I made two portions of fake blood. The first one was slightly more diluted and higher in volume – which I would use for staining my shirt and pants later. 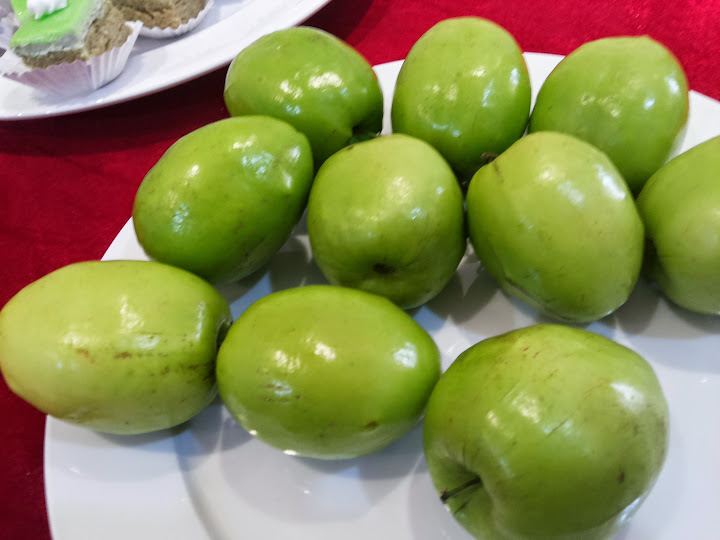 I also made a second portion which was darker, thicker and smaller volume – which I packed in a small container with me to the event. I intended to use this thicker blood for my final face and skin make-up later. 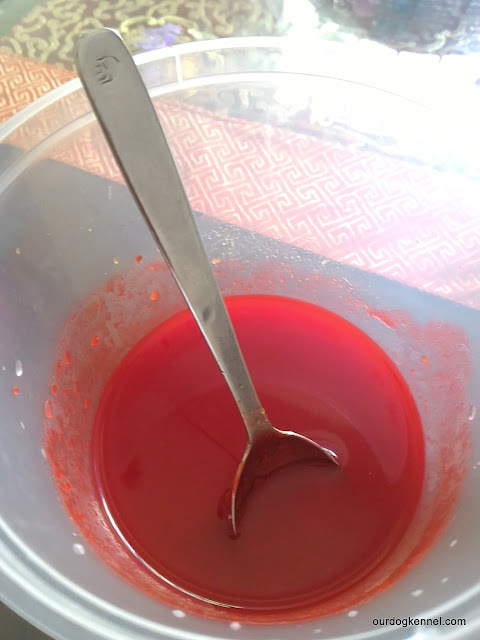 Best part of this DIY fake blood? It’s safe, edible, and washes off easily!! This was yet another fun part of the project which I even got my kids involved! First, hang your shirt on a hangar (preferably outside the house compound). 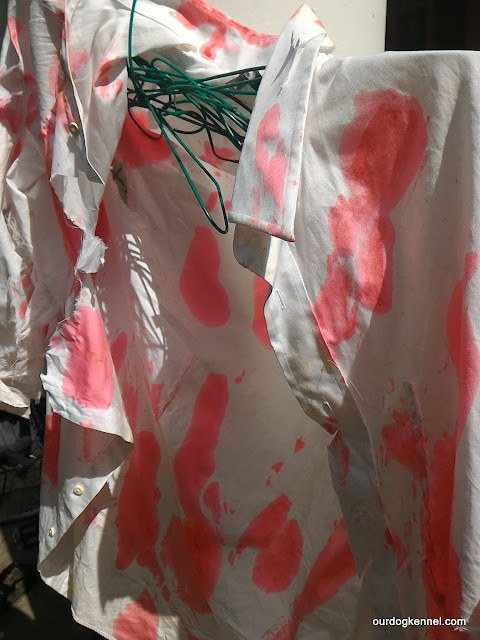 Use a broad brush or even cotton wool to dab in your fake blood and splatter it all over your shirt as desired. You could even use your hands to make finger print smears! A light headed brush can give you scratch-like blood stains. Above all, be creative and have fun! 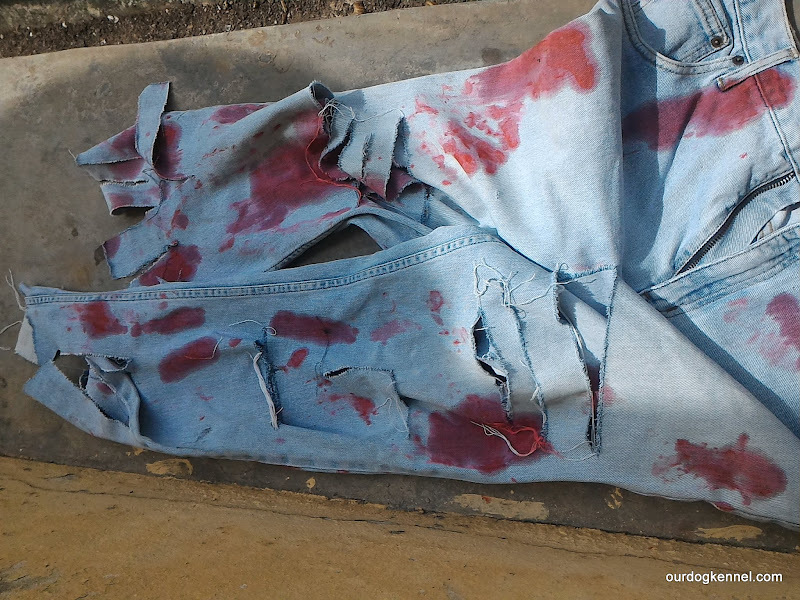 Similarly, smear the fake blood all over your ripped pants or jeans. 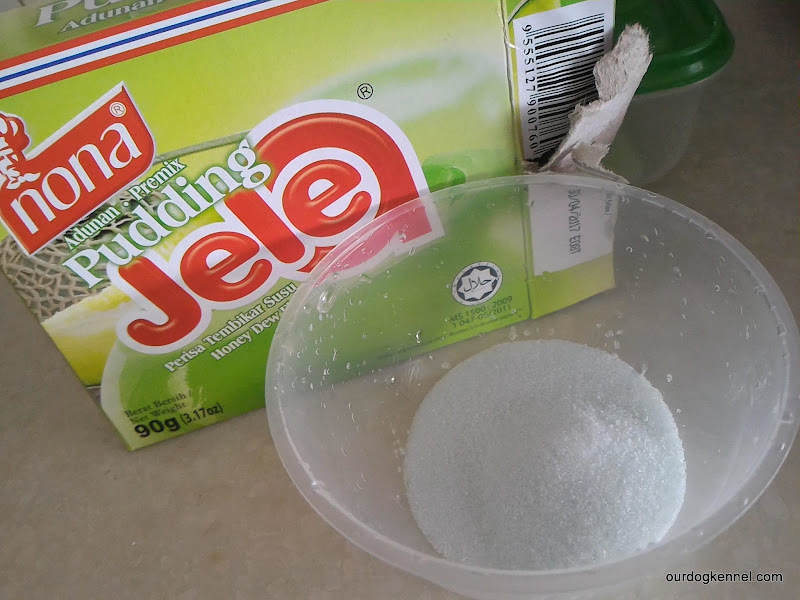 First, I poured out about 5 tbps of pudding ‘gelatin’ (cost around RM3) into a microwaveable bowl. I couldn’t find transparent gelatin, so I opted for honey dew (closest to skin colour) pudding instead. 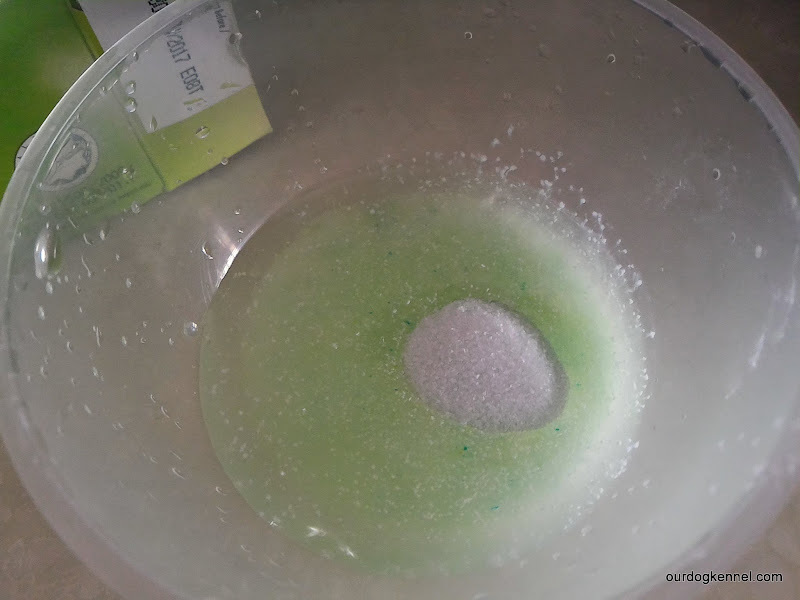 Pour about 2-3 tbps of water into the bowl and stir evenly. Next, microwave the mixture for about 30 seconds. 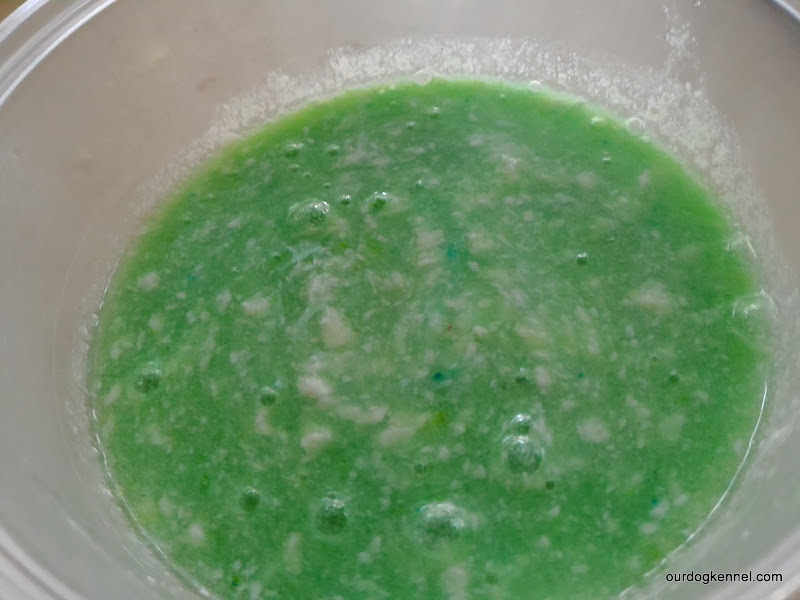 Note: the concoction may start to get bubbly and popping inside the microwave. 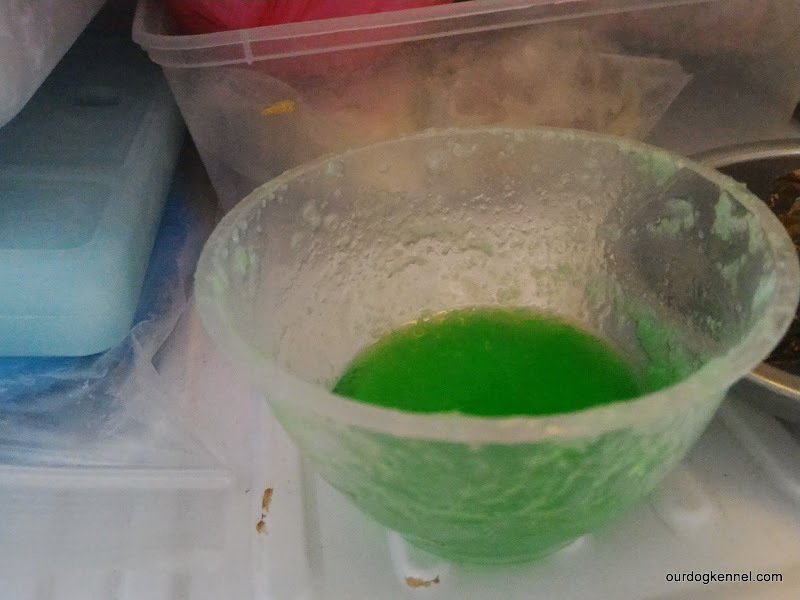 Remove the microwaved mixture and immediately cool it inside the freezer. 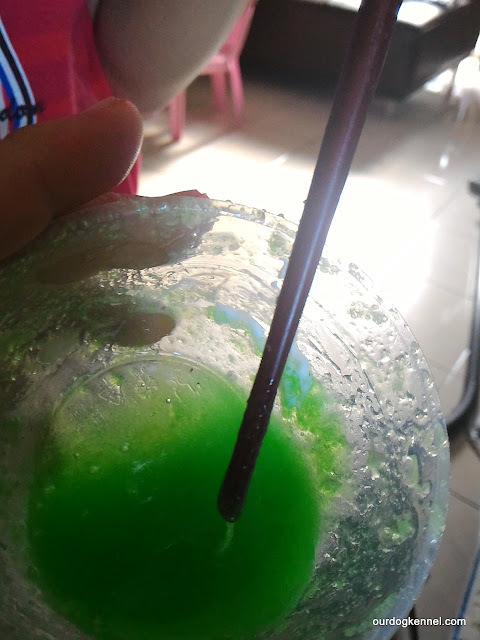 After 30 mins+ , take out the mixture and stir it evenly to check the consistency and goo-iness of it. Leave it in the fridge and get yourself costumed up! Once you are dressed up in your blood-stained shirt and pants, splash some baby talcum powder on your face and your messed-up hair. Get your Fake Skin from the fridge and proceed to apply it on your exposed hands, face and other skin areas. Now your skin will have another layer of shiny, jagged-feel skin, which gives you a variety of make-up opportunities! 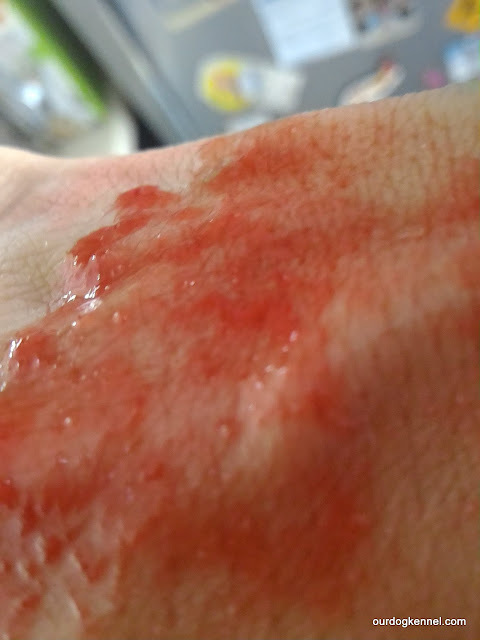 For example, I added some red food colouring to the fake skin mixture and splattered it on my cheek and hands. Later I just used dark coloured paint for realistic-looking scars over that area. On a side note, I actually experimented another bowl will added baby lotion (since skin lotion has glycerin marr…). but unfortunately, it didn’t turn out too well. So I guess if you can get proper glycerin, you might be able to make a better quality skin! Tip: If possible, apply this as early as you can. The faster the jelly/pudding skin sets in, the more time you get to ‘play’ make-up with it. Mine didn’t set in long enough, so I couldn’t peel it out like another layer of skin. Perhaps if I had added some flour, I might have succeeded. With my semi make-up on, I went the function and put myself into the hands of a make-up artist. What she did was to whitened my face with foundation and used darker colours to accentuate the bruises scars. 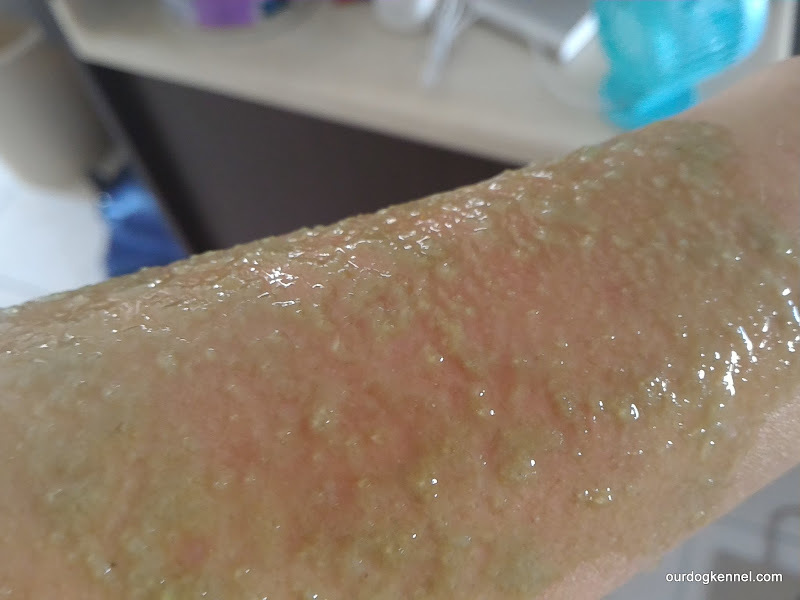 She alsoВ really had fun with my jello-skin. For my arms, she painted an ‘open-wound’ over it with the right colours. In addition, she also dabbed some pieces of cotton around the area. The final result from the jello-skin shine makes it really creepy from up close. 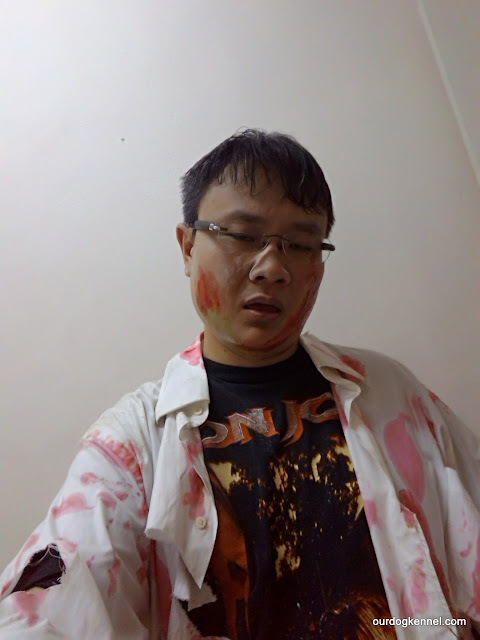 I finished up the zombie makeover by applying some of the extra fake blood on my face. That’s it! 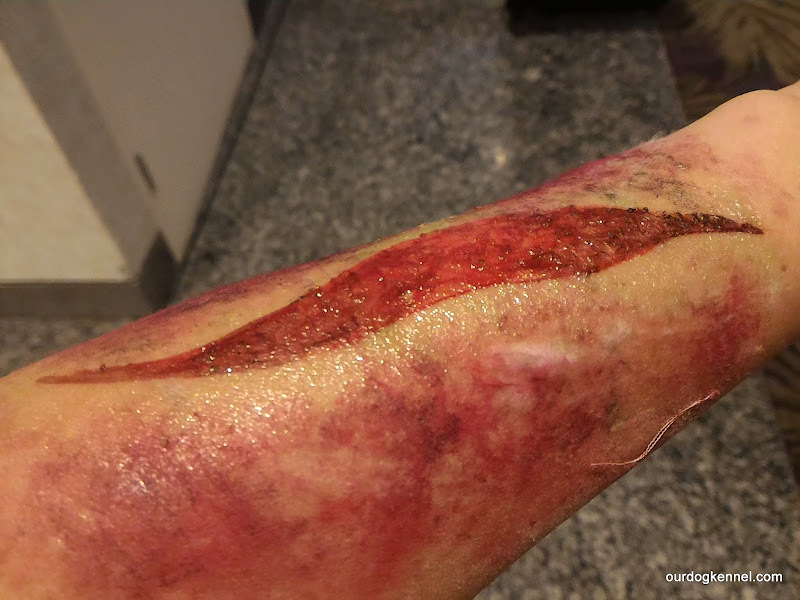 For fake blood, you could use honey, syrup, cordial, chilli sauce, etc. For fake skin, you could try mixing flour + water to make the skin putty and ordinary paper glue to stick it to your skin. Coffee stains on your shirt would seem cool too! Shoe polish for extra bruises, perhaps? 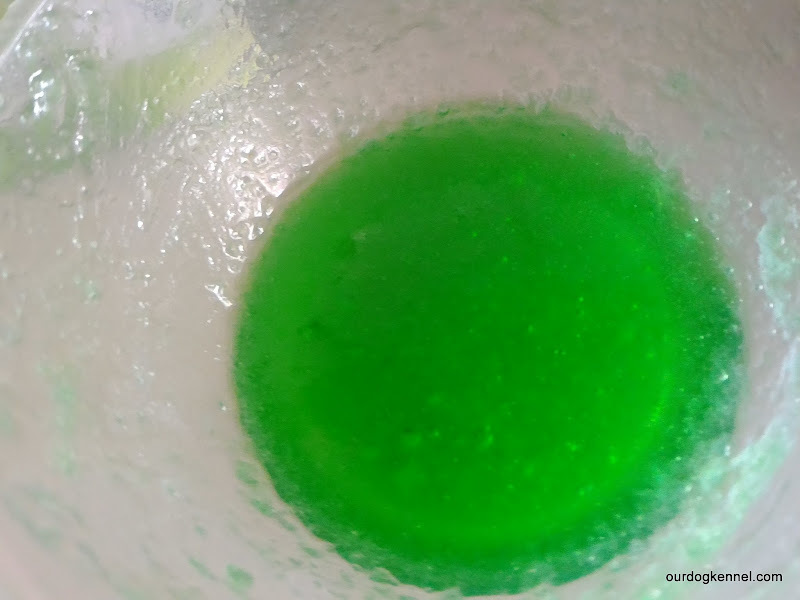 Corn starch may make fake blood and skin extra gooey! Have fun and remember to also walk and rawrr like a zombie!! You’d be surprised how easily the make-up I described above was removed and washed off. Since most of the stuff I used were edible, non-toxic materials, it all came off rather easily under a warm shower, soap and facial cleanser! Gosh, I’ve been late trying to get this report up – we’re already in GW24 as I write this. At the conclusion of GW 20, I was already free falling down my mini-league, hovering around spot no. 15 (I think). I had only managed to amass a total of 1,002 points and globally ranked at 1,149,644. From a financial viewpoint, I only managed to increase my team value +2.8M . I even failed to make the cut for the FPL Cup after GW18. Sigh. Punting with my Wildcard – After the early form struggle, I managed to surge to the top of my mini league after GW8. My mistake? Immediately using my WC to solidify my team by making punts on cheaper strikers and messing around with my solid original team. Pathetic defence – Somehow I was cursed this season by buying in defenders who either don’t play or get injured almost immediately thereafter- Rojo, Darmian, Gabriel, Rose, etc. The non-points from my defenders seriously hurt me this season. .Bad choice for captaincy – Strangely, high scoring captains this season don’t seem to be from teams playing at home. Hmmmm. Too much faith in high scoring players of the past – Hazard, Rooney, Sanchez, etc. comes to mind. By mid-way point, it would be very difficult for me to claw back into my mini-league. Most teams would undoubtedly have the same template, so the number players that are different would be too small to make significant impacts. My only hope of surging up to catch the leaders? Taking risks on players not from the template. For example, choose Deeney instead of Ighalo. Oh well, there’s always next season! Gosh! This blog is definitely long overdue!! Since our family vacation to Melbourne earlier this year, I had been meaning to compile a list of personal tips for anyone who would be visiting Melbourne. Anyway, better late than never! #1: Get your ETA cheap! If you are visiting Australia as a tourist, you’d need to apply for an Electronic Travel Authority (ETA), which costs around A$20 per application from the Australian Immigration. Whilst you can apply for it online 24/7, the key tip that many people don’t know is that the ETA can be obtained much cheaper if you apply for it from this site called Easy ETA. This site promises a 24-hour processing time and with a 50% discount as well! Initially I had my doubts about this site but I checked out its reviews from many other users and was convinced by its validity. Applying for the ETA was a breeze and we saved a lot of money too! if you intend to drive in Australia, you do NOT need to apply for an International Driving Permit, which would cost you RM150 for a yearly application. 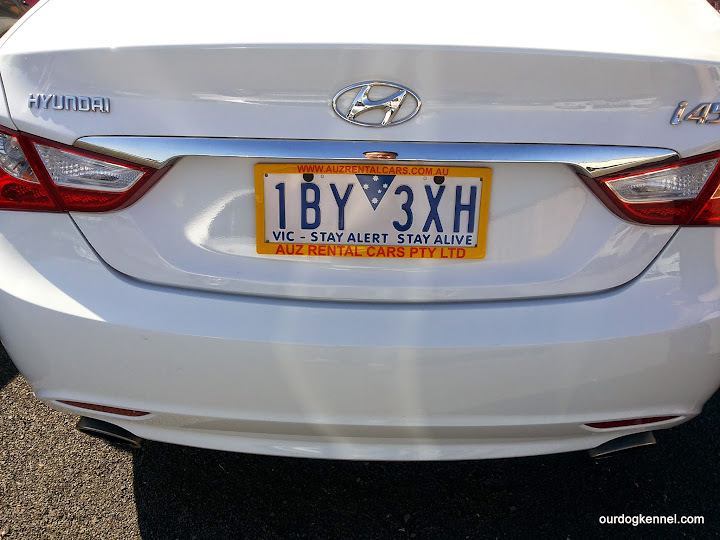 What is typically required by the Australian law as well as the car rental companies is an ‘English translation’ of your existing Driving Licence. Now, if you are a Malaysian and your Driving Licence is all in BM, you are holding the OLD version. Simply go renew your licence to get the NEW version, which would already have an English В translation of the relevant details! if you are intending to visit the suburban areas like Yarra Valley, it would be advisable to rent a car. Surprisingly, rental cars in Melbourne is quite affordable and it gives you the flexibility to move around at our own time. Besides, taxis over there are EXPENSIVE! The car rental agency we used when we were in Melbourne was Auz Rental Cars. One of the the most popular tourist attractions for kids in Melbourne is the Puffing Billy – an old steam powered train that travels from Belgrave to Gembrook. Although it moves pretty slowly along its tracks, many kids (and adults too!) love it because we get to ‘hang out’ our feet outside the train as it moves! Now, the tip here is that if you are traveling from Belgrave, you should hang out on the RIGHT side of the train and if you are travelling from Gembrook, try to get to the LEFT side of the train. Why? The view on those sides are just so much better. Trust me! 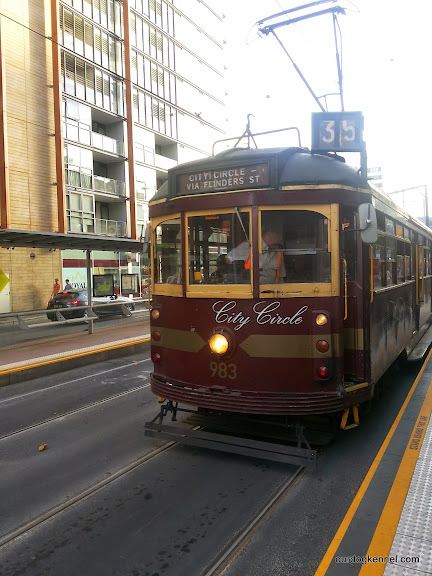 If you happen to go into the Melbourne CBD, make it a point to include taking the FREE City Circle Tram ride (Tram No. 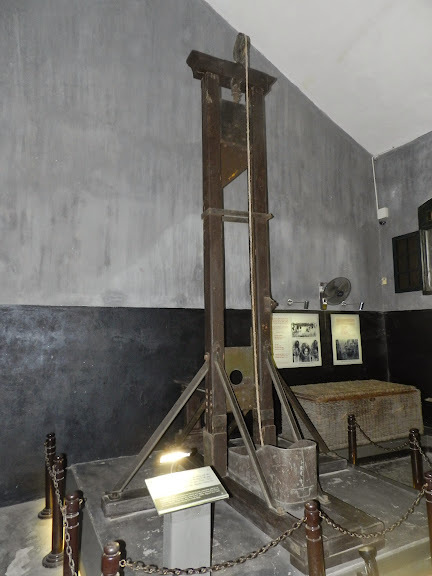 35) as one of the earliest things on your itinerary. it takes no more than 30 mins ( I think) and it includes very informative narrations of places you can go visit all along the way! Not too long ago, the tram route was also expanded to include the Docklands! So if you are planning to stay in the CBD or vist places around the CBD, it is essential to familiarize yourself with this FREE TRAM ZONE. Heck, you may not even need to purchase any myki if you plan your inter-city routes well! 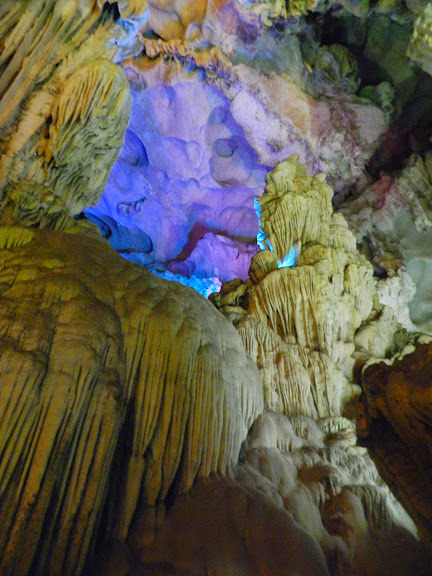 You might find yourself shocked to see many tourist attractions (and even shops!) close very early in Melbourne. 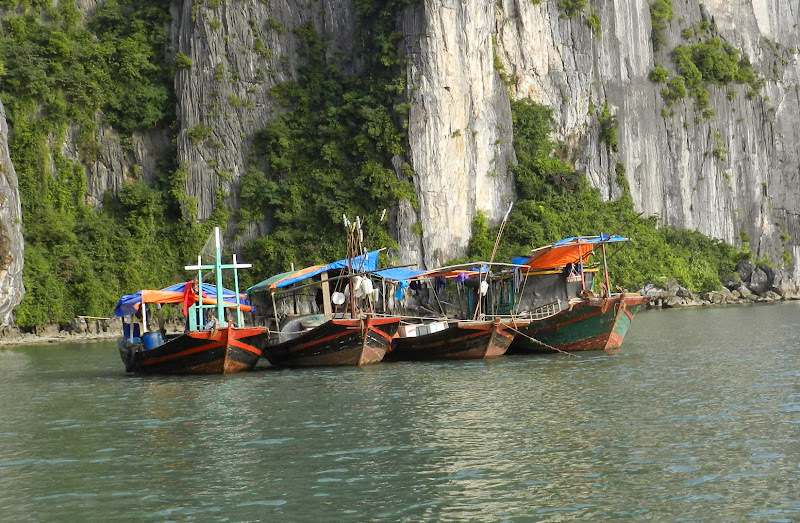 One simple tip is you could redesign your itinerary so that you visit these places EARLY instead! Although most places/shops/etc in Melbourne typically close by 5pm, they do open for business REALLY early. I remember making the effort to scavenge through the Queen Victoria Market В from 7am (they open at 6am!) because there was no way I would have been able to visit it during normal times! #8: Eat More Lamb and Beef…and MILK! I’m not exaggerating this. I can honestly say I am a MEAT person through and through and I personally found the LAMB and BEEF in Melbourne to taste so much better than the other meats, especially chicken! Drinking milk thereВ is probably a no brainer. Fresh milk in Australia just tastes so GOOD and costs so CHEAP that it would feel like a sin if you do not gulp down a glass or two every day! When people think of Australia, they would think of all the wonderful dairy and meat products from the farm animals there – milk, beef, cheese, butter, etc.typically comes to mind first. Strangely, many people often forget ICE-CREAM!!! Yup, we managed to buy a ‘premium’ branded tub of Bulla for about 1/3 the price you’d pay for in Malaysia. Delicious!! 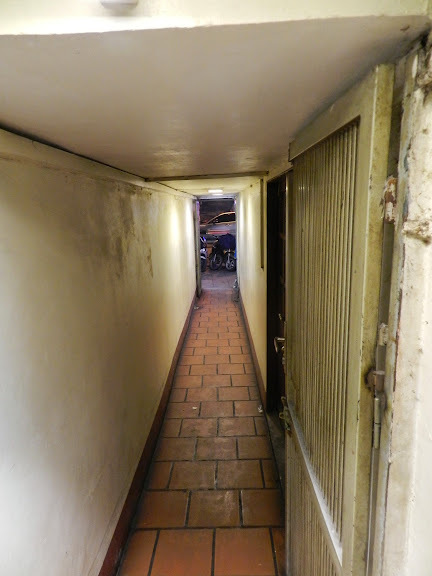 Accommodation in Melbourne isn’t cheap, especially in the CBD. A cheaper and much more practical solution would be to stay in apartments, and there are plenty of them in Melbourne! Why practical? With apartments, you’d have the luxury of doing your own laundry, cooking, etc., and more importantly giving you a much larger space for large families! We stayed for about a 5 days in Adina Apartment, Northbank, and all those amenities (especially the washer and dryer!) made our stay very pleasant. Refrain from buying Australian souvenirs from anywhere else. At the QVM, you will get the best pricings and better range. 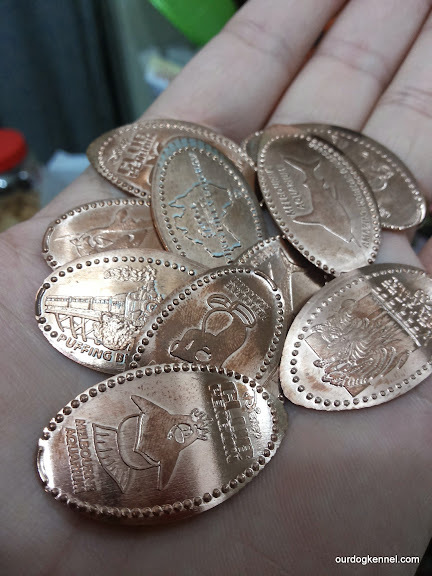 We learnt this the hard way when we started buying some souvenirs from other places before we had a chance to visit the QVM. Sigh. Anyway, do go early and the sellers might even give you additional discounts for early bird customers! Speaking of the QVM, many people do not know that on certain Wednesday nights throughout the calendar year, they will run unique night markets there. Yup – NIGHT. When we were there В in March, they called it the Summer Night Market (typically between November to March). I believe the Winter Night Market runs sometime between June to August. Do check out the QVMВ website for the exact dates/season of these night markets but it generally runs from 5 – 10pm. Why is it so special again? You will experience a wide variety of international street foods, street bands and an unbelievable atmosphere! Personally, I found the Werribee Open Range Zoo to be one of the more exciting zoos I’ve ever seen. The safari ride into the open range area to get up close and personal with wildlife was a totally unbelievable experience, especially for kids. Unfortunately, when we were in Melbourne, we realised that accessibility was quite a problem. Going there by taxi would be uber expensive; taking a train with some changes and taxi shuttles with three kids in tow would be nightmarish and ultimately taxing on us. We were fortunate to discover (at the very last minute) that В there is a Werribee Park Shuttle that departs from the national Gallery of Victoria every morning that only costs A$25 per adult; and A$15 for kids under 10. #15: Get a Local SIM! I guess most regular travellers already do this but I guess it’s no harm to advise it anyway – get a local Australian SIM when you reach there. They have pretty cheap and competitive rates and well-thought off range blocks like one-week, one month, etc. Typical souvenirs you would probably bring home from Australia are plush koalas and kangaroos, boomerangs, leather stuff, chocolates, etc, right? 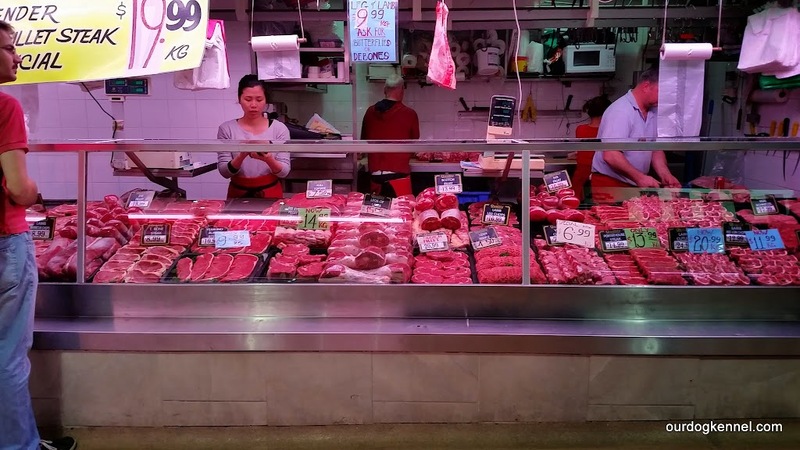 Why not bring home some of the best meats found on the planet! Remember to pack along your cooler bags for convenient packing!Who says you cant bring home some of those Australian goodness right? #18: Buy Tickets Online and Save! As you are planing your tour itinerary back home, it would be prudent to check out the ticket prices of some of the attractions you are heading too. More often than not, you’d be able to purchase your tickets online at a much discounted rate! If you are planning to take your kids to any of the three zoos in Melbourne, make sure you plan it in such a way that it is on a weekend because all kids below 15 go in for FREE!! If you missed our family adventure in Melbourne, head on over HERE for the full details! Personally, I have to admit that whilst this year’s FPL edition wasn’t was nailbiting as last year’s battle, it did have its fair share of ups and downs too. Much of the main battle in my mini league took place in the first half of the season where the top spot changed hands a couple of times. However, after I started to extend my lead at the top after GW20, the main challenge was to maintain that lead consistently. I ended my FPL campaign this season with 2,095 points (averaging 55.1 points per GW). This would be comparatively POORER (sigh) compared to my 2,254 points (average 59.3 points per GW) hauled a year earlier. But when I compared my overall global rank, I was placed at 58,531 out of a total of 3,502,998, which put me in the top 1.67%! This was a significant improvement from last year’s global rank of 158,420 (top 5%). This shows that this year’s competition was tougher on average for everyone! From the investment portion, I performed poorly again, raking in an addition of only $5.4M over the course of the campaign, giving me a total team value of $105.4M. This was slightly lower that last year’s figures, and I believe it was due to the fact that I made most of my trades just before the GW day, compared to the past where I would invest early in hoping to pick up some good ROI. The task of holding out the lead at the top is not always easy. On average my lead over No. 2 would hover around the 20-30 point mark, which would be usually safe, provided an unknown differential suddenly scored a hattrick or something…but I believe it was my consecutive 70+ points scoring from GW 34-36 that gave me a much more comfortable lead going into the DGW 37 and the final GW38. Eventually I had a 88 point cushion over No. 2, compared to the minute 14 point cushion victory last season! This year, the race for No.2 was perhaps more exciting instead. Numerous friends took turns to take over the No. 2 spot but in the end it turned out that my usual nemesis from last season, Friend P, would still pop out and staged a comeback after a troublesome early start, to secure the No. 2 spot. Well done! So, did I think I performed well this year? Nope. Obviously it could have been better. There were quite a number of incorrect decisions I made throughout the season that really hurt my FPL campaign in the long run. There’s still so much more to learn from this FPL game that I have to continue to improve myself in seasons to come. My 3 immediate targets for the new season? One was completely black and you were adorably spotted! You sure had this most incredible and scary appetite! And not surprisingly you eventually outlasted the cage, itвЂ™s true! I have my suspicions your continual chewing of it hastened its process beyond repair! 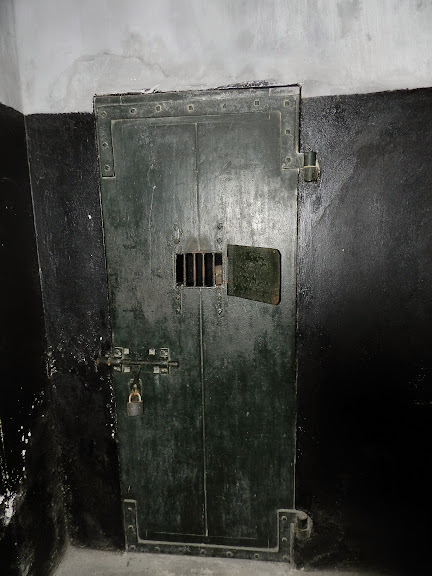 Given more time, you would have even tunnelled into our neighbourвЂ™s compound! As well as all other forms of dangers that you could find on the inside! From snakes to cats to snails to cockroaches and even rats! And your couple more smaller snake kills since then! With some even left by our doorstep, was it for our approval? Did we not feed you enough or were you just terribly hungry? The garbage trucks and postmen seemed to be your biggest grouse! ItвЂ™s one of your legacies now, definitely beyond amends! Wonder if it is still OK as long as we continue to remember? Sigh. FOOTNOTE: Just wanted to add on that we foundВ this company by the name of Pet Memorial Services, who did a fantastic job in coming over to our house to В take Messi’s body away professionally. I wasВ alsoВ impressed with the range of services they provide – personal cremation, caskets, urns, and even upgraded urns (pendant, key-chain, garden marker, etc.)! 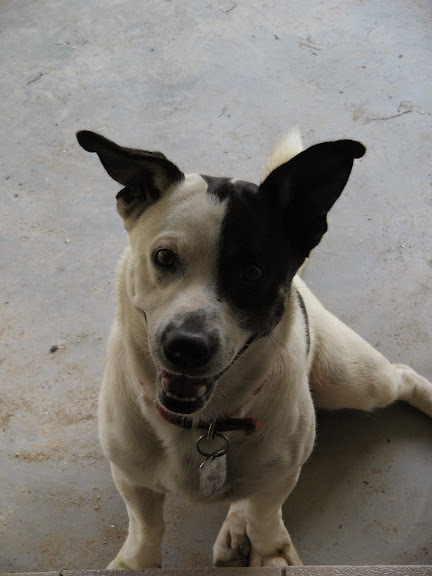 For those with pets, I would highly recommend Pet Memorial Services to В assist В you after your В pet has passed on. 1. Life is always full of UPS and DOWNS – the momentum shifted teams like a roller coaster throughout the game! 3. Never Give Up! The Patriot’s remarkable comeback and game winning drive, as well as the Seahawk’s 2-minute drive to the New England 1 yard line are simply exemplary! 4. Always Stay Focused on the Job Right Till The End! В An incredible drive by Seattle with 2:02 left on the clock put them within ONE YARD of Superbowl glory. Then suddenly, one bad play-call later resulted in an interception and it was all wasted. 5. Don’t Rush Things! Plan well with the knowledge of how much time you have. Seattle actually had 26 seconds to go to gain ONE MORE MISERABLE YARD. They rushed the play. 6. Leverage on your STRENGTHS. At Goal and 1, Seattle should have gone the direct route В of Marshawn Lynch, one of the NFL’s best running backs, having THREE shots at rushing the ball over into the End Zone. Instead, they tried something else and paid the price. 7. Success FARВ Outweighs Failures – Amidst the wild, victorious celebrations, many may forget that Tom Brady threw 2 Interceptions in this game – one deep into Seattle territory in Q1 and another one in Q3. However, this did not distract him from recovering brilliantly to engineer the fightback in Q4 and finishing well with 4 TD passes! 8. Forget Mistakes IMMEDIATELY and Stay Focused on Job At Hand – When Malcom Butler’s deflected a long-range pass that freakishly bounced and bounced and eventually fell right into the lap of Seattle’sВ Jermaine Kearse at the New England 5-yard line, he must have felt like the ground just swallowed him up! 3 plays later, he picked himself up to make that all important interception that secured victory for the Patriots! 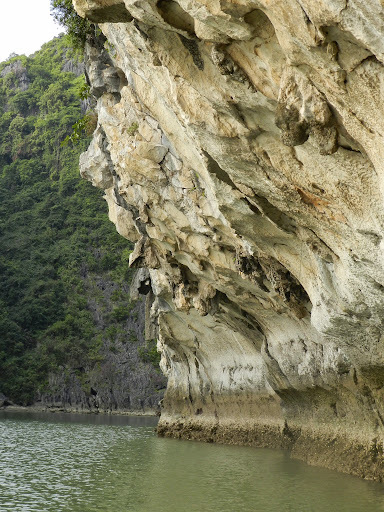 If you are visiting Hanoi, make sure you allocate at least ONE FULL DAY to explore beautiful Ha Long Bay. 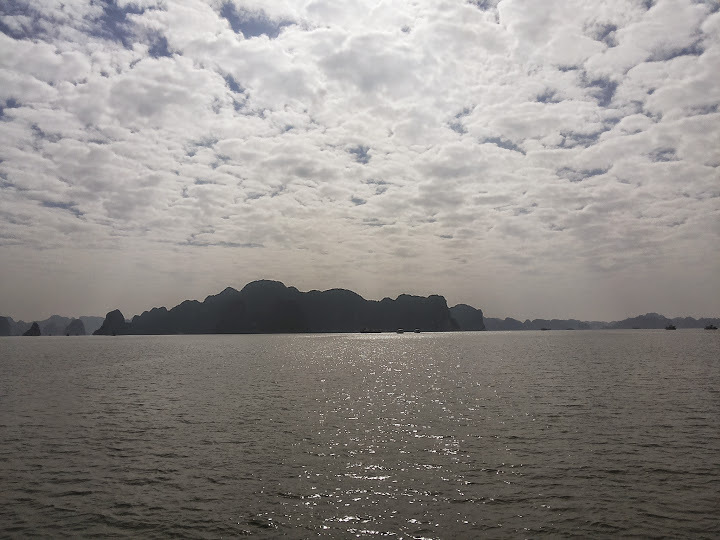 Some people may opt to take a cruise and stay overnight aboard the В Ha Long Bay cruises, but if time does not permit, just book a one-day tour to Ha Long bay.В I booked my Ha Long bay package via Hanoi Street Food Tours also, for about USD35. 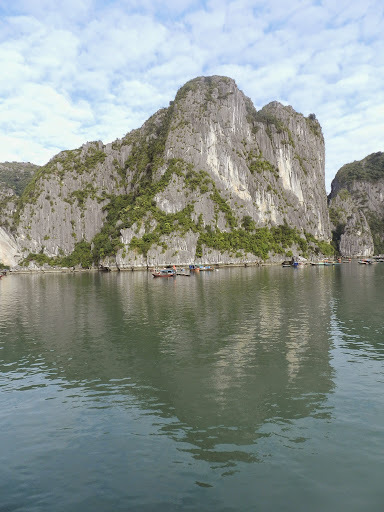 The trip by bus from Hanoi early in the morning to Ha Long Bay jetty takes about 3.5 to 4 hours, so give or take about 3-4 hours on the boat to Ha Long Bay, you should just about reach Hanoi again around 8.30pm to 9pm that same day. 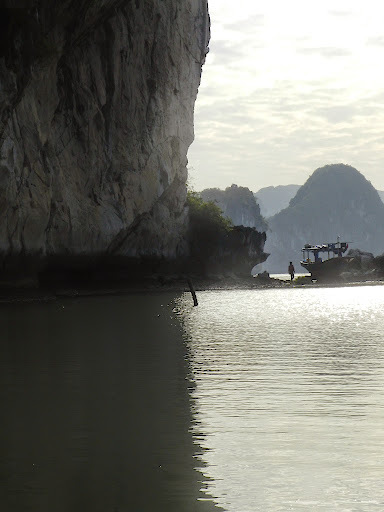 At around 8.30am on Day 2, the tour bus came along quite punctually and picked me up from the designated pick-up point. I was apparently the last passenger of the day inside the bus filled with tourists of all sorts of nationalities – Japanese, Australian, French, etc. The bus ride wasn’t entirely comfortable. 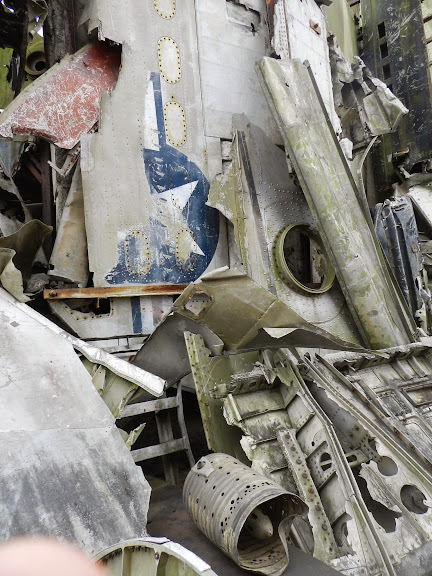 The seats felt cramped and cannot be reclined. 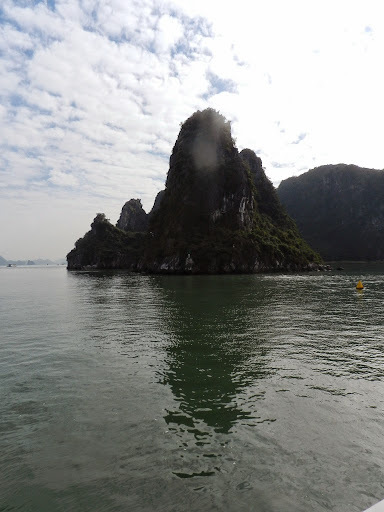 Anyway, I guess these are just some small, little things to suffer in anticipation of experiencing Ha Long Bay soon!! …and I got my TICKET!!! Everything served for lunch was included in the package, except for drinks, so some crew did go around selling marked-up prices of bia hoi and other drinks. 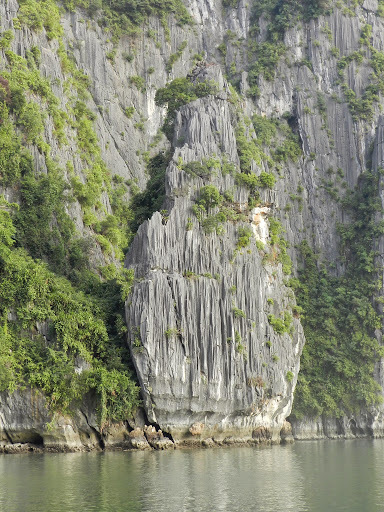 Tip: Do bring your own water when you travel to Ha Long Bay! The immediate thing that struck me as the boat ventured further and further away from the pier was how QUIET it suddenly became. I mean, I must have been growing too accustomed to the blaring of horns in Hanoi that the quietness was such a welcome ‘sound’! Gasp! Is that Penang Bridge?!!! 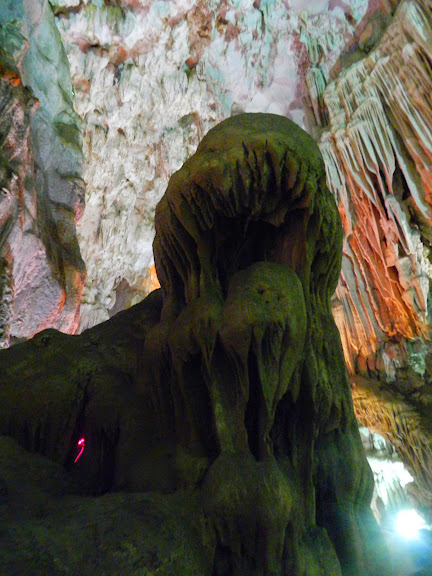 After about what seemed like half an hour, we entered the bay and docked at Thien Cung Caves (Heavenly Palace Caves) where we explored and marveled at the natural limestoneВ formations all around the cave …. the proverbial light at the end of the tunnel! can you see the sitting Buddha? 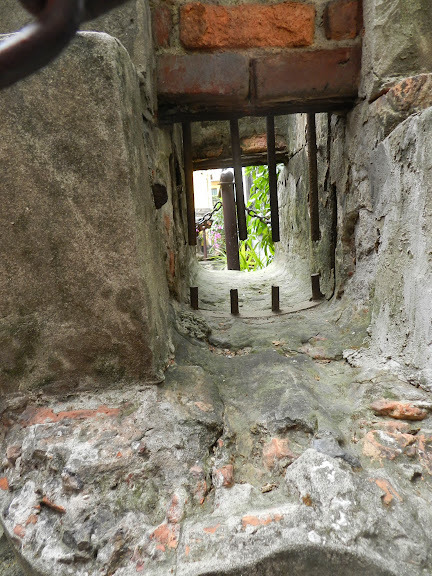 apparently the story of romeo and juliet is found here…if you look close enough! can you see the Singapore lion here? …or perhaps a shark and crocodile? 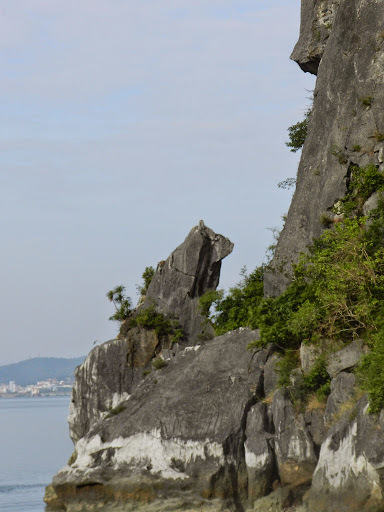 Outside the caves, you will get quite a good view of the bay itself…. 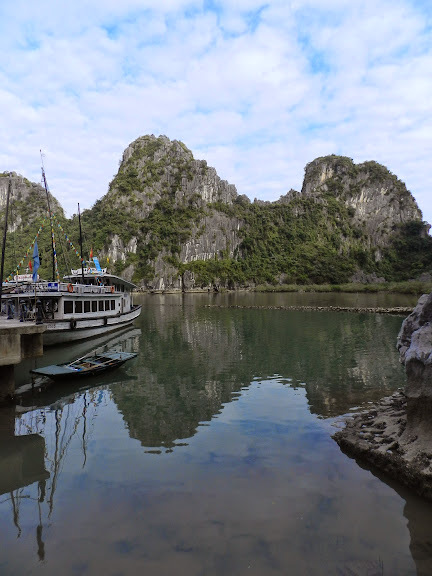 whilst there’s road traffic in Hanoi, you’d get bay traffic here! 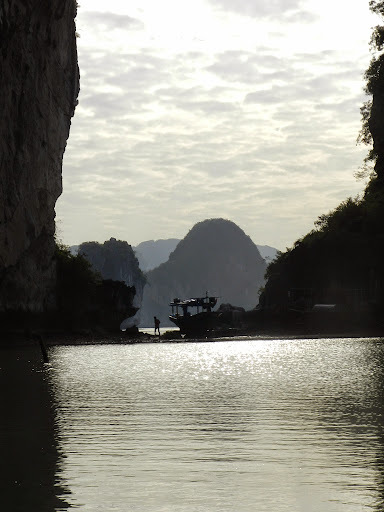 Halfway back to shore, an announcement came that since we had a little more time that day, the boat will make a short detour to a nearby ‘floating village’ where we would get the chance to go kayaking or take a bamboo boat ride to explore other areas of the bay. When we got there, we didn’t see any kayaks in service at all. So some of us decided to go for a ride in a bamboo boat. 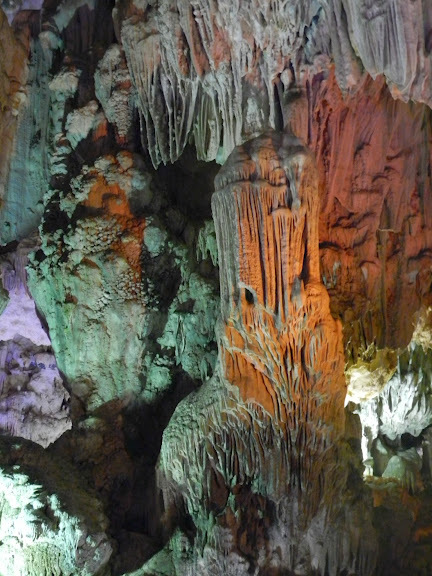 Price was VND130K per person, which was quite reasonable, I felt, considering the tough life these villagers are living. On the way back to Hanoi, the bus will most definitely make a brief stop at some souvenier shop. Ours made a stop at this place simply called ABC. Seriously! Picking up mid afternoon, I’d reckon you would have probably completed some shopping around the Old Quarters and is ready for more sight-seeing! 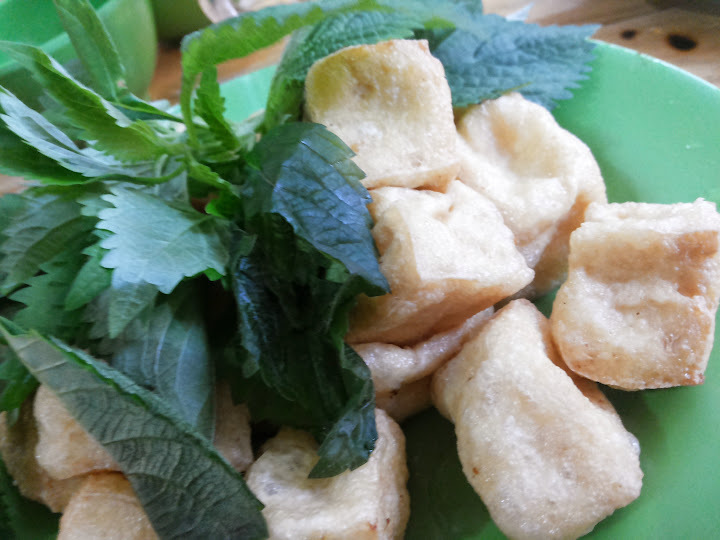 Apart from some of the places to see in Hanoi, one must also not forget to try out the bevy of delicacies of Hanoi street foods! Yes, I must admit that you could easily explore food by yourself, but I opted for an easier (and lazier too!) 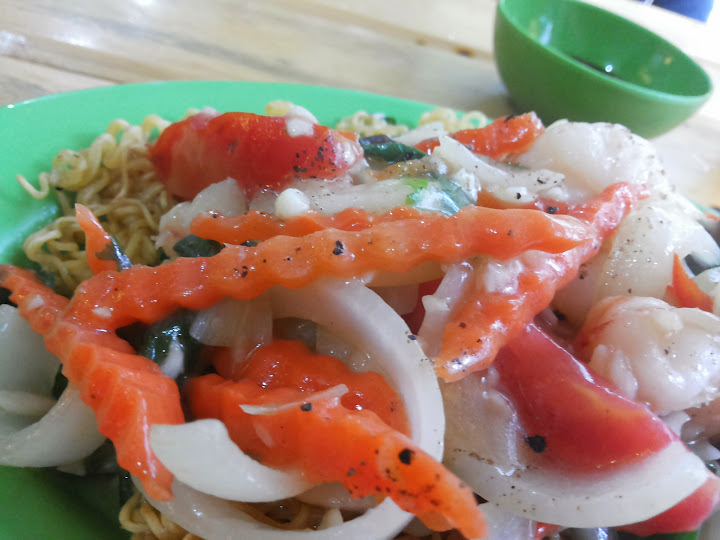 way out – sign up for a Street Food Tour. Besides, I thought eating in a group would be more fun too! 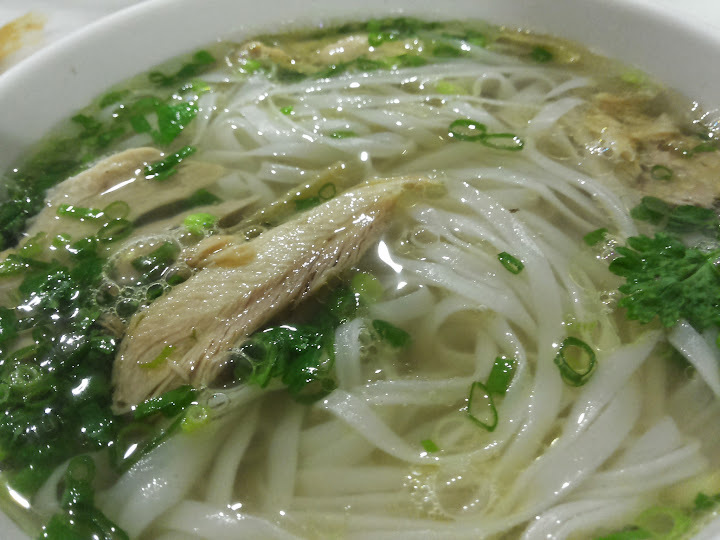 There were quite a few options available, but I took up my package worth USD20 from Hanoi Street Food Tours , which was located very near from my hotel. 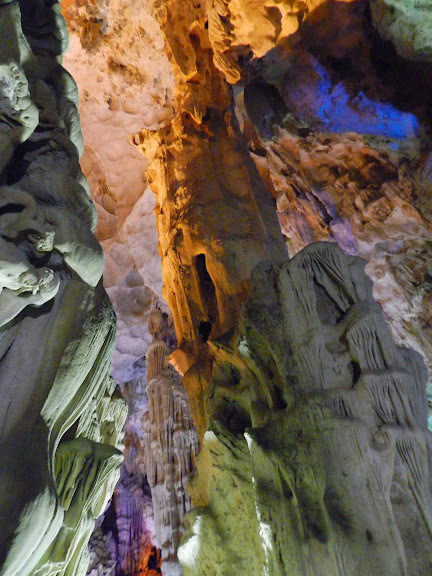 For an additional USD5, the package also bundled in a ticket to the Thang Long Water Puppet Show. 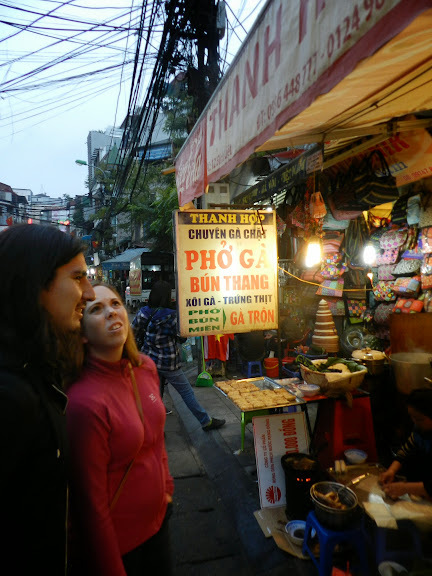 The Food Tour was quite an interesting concept where a tour guide would take the group around the Old Quarters on foot, stopping at street restaurants, road-side stalls, and even casual cafes for a sampling of Vietnamese food. 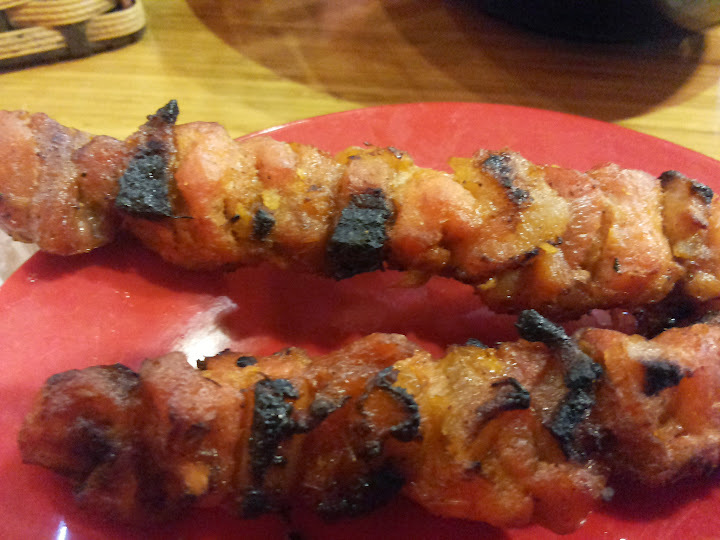 Here’s a series of pictures of my food trail taken during this 3-hour street food tour, which started form about 5pm. Basil is found at almost every stall we ate! 4. Assortment of Spring Rolls – tastes something like popiah but brimming with porky goodness! 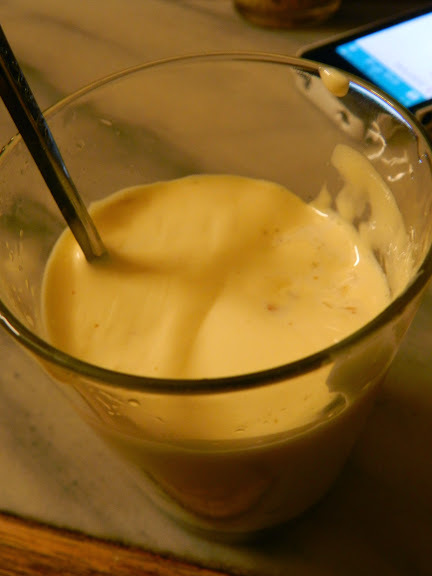 Superb Egg Coffee…just the perfect way to cap off a hearty street food tour! 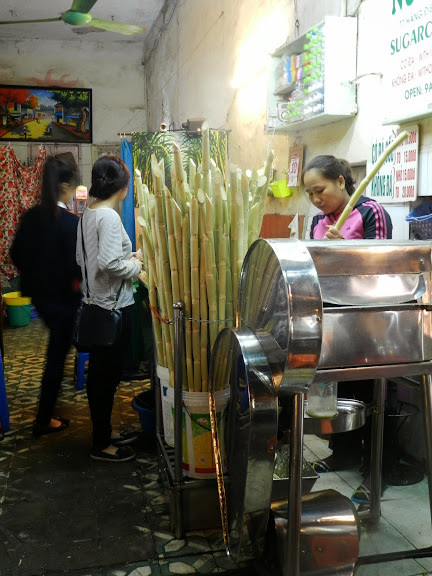 After the Street Food Tour ended at about 8pm, we took a short stroll towards Hoan Kiem Lake, where not far off its north tip was the Thang Long Water Puppet Theatre! can’t get enough of em yummy spring rolls! 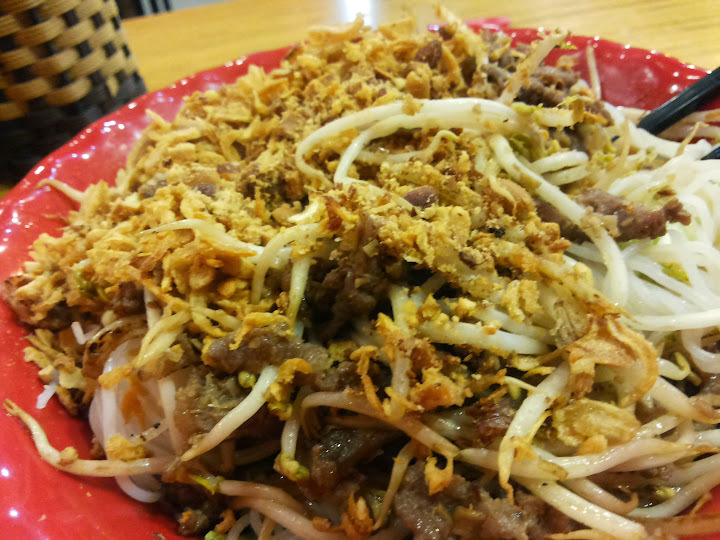 beef noodles with sprinkling of peanut….YUMMY!! 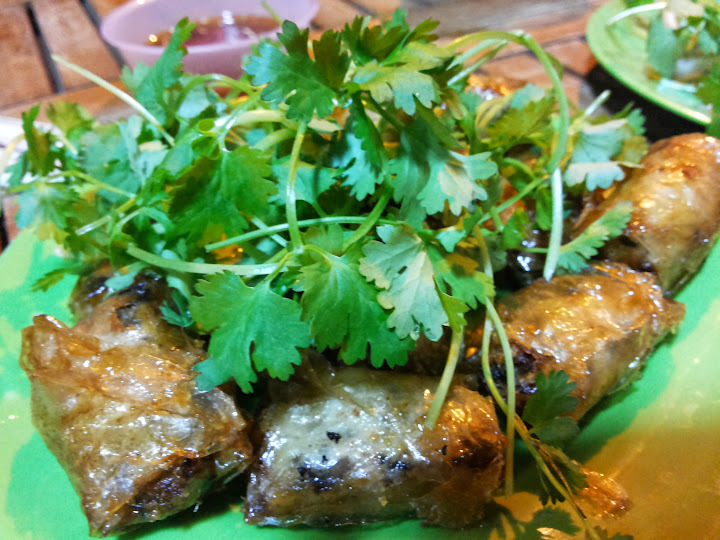 …and THAT concludes Day ONE of sight-seeing and stomach feasting in Hanoi! 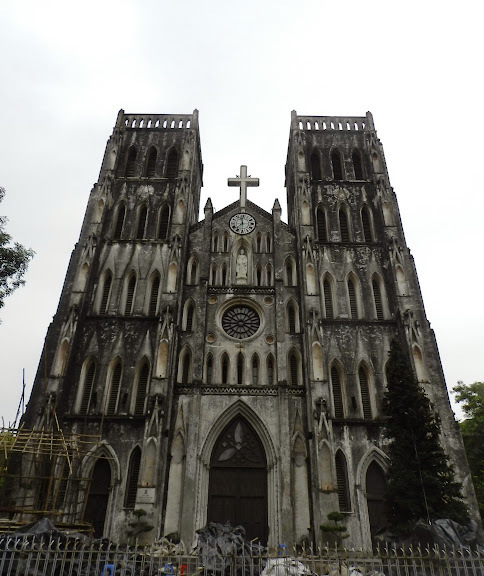 So what do you do now with ONE more day left in Hanoi? 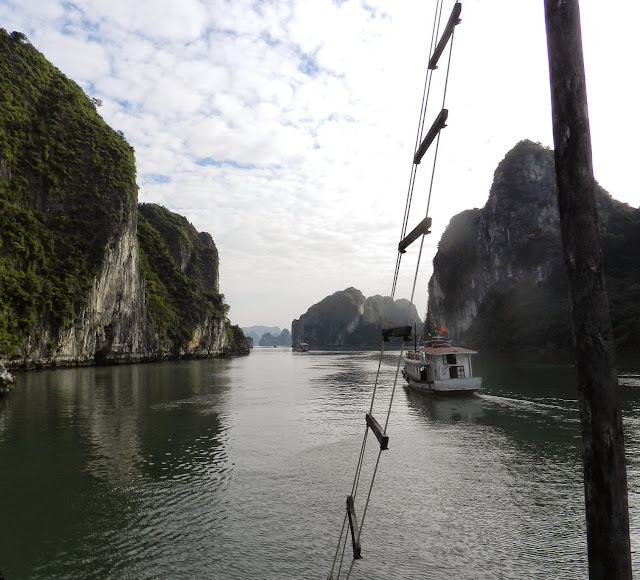 Easy, one does not come all the way to Hanoi and miss Ha Long Bay…. 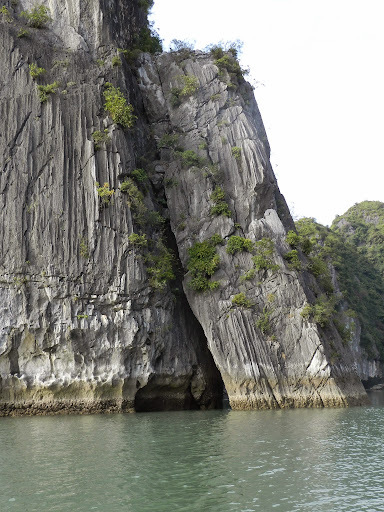 Stay tuned as we explore beautiful Ha Long Bay for the entire of Day 2! 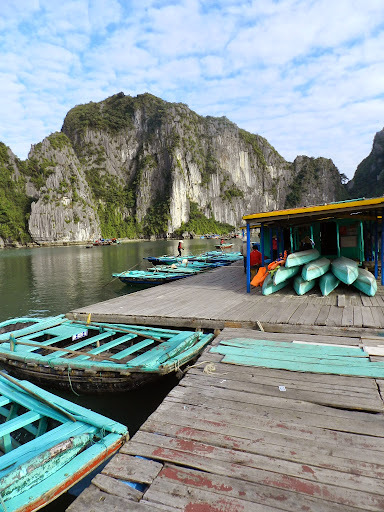 If you had like one week to spend in Hanoi, you would most certainly have plenty of time to go super touristy and explore every inch of this beautiful city. But what if you only had TWO DAYS?!! 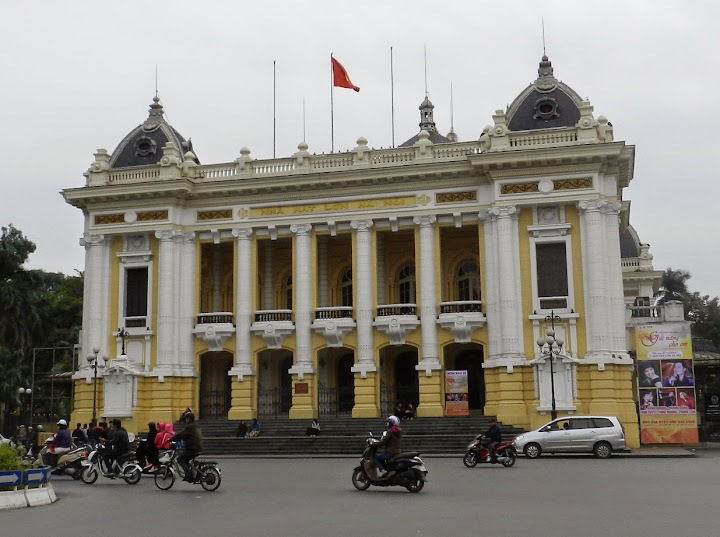 Would that be enough time to check out Hanoi? 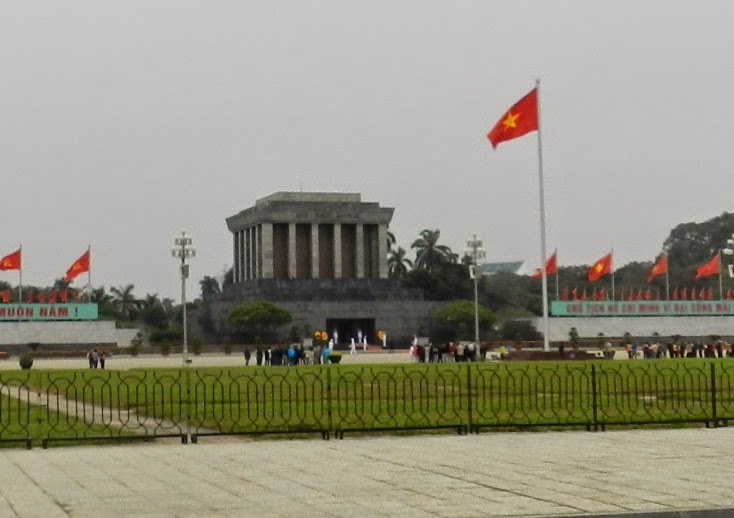 TWO DAYS was roughly all the free time I had when I visited Hanoi last month. And I think I did pretty OK to cover some of the more exciting places and also Vietnamese food in that short period of time. 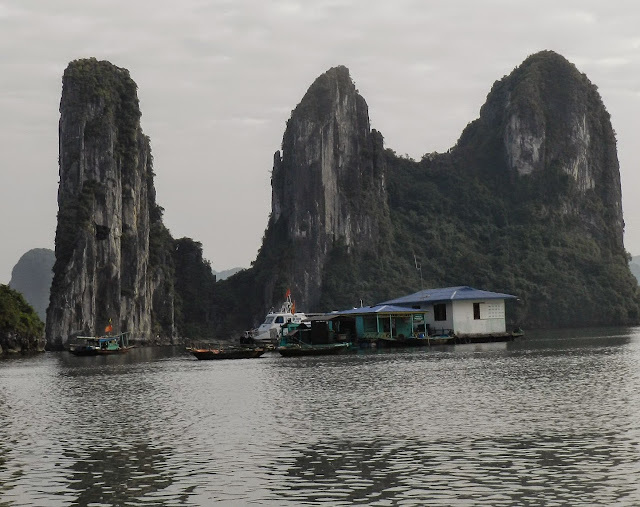 So I thought I’d share some of what I went through which could perhaps be a suggested itinerary for some of you who might be also going to Hanoi with only two days to spend. 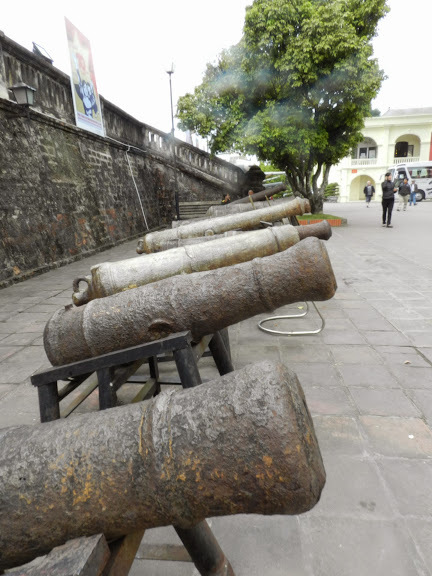 When I did some pre-travel research on day tours in Hanoi, I realised that many of them offered similar half day or full day city tours – which only covered about 4-6 places of attraction for about USD20 onwards. Two cheaper alternatives would be to (1) Secure a personal tour with a local guide for FREE – which you only pay for the transport and also their meals (check out hanoifreetourguides.com or hanoikids.org for example); or (2) Book a motorcyle taxi (Xe Om) to take you go sightseeing.В I tried Option 1 with several sites but the local guides were not available on my preferred dates. So in the end I opted for Option 2. Quite over-rated attraction. Probably looks better from afar. It’s basically only an old rusty steel bridge but if you were to cross it, you might want to stop somewhere in the middle to catch some good shots of the river running underneath. if you’re lucky, you might spot an old train passing through the middle! 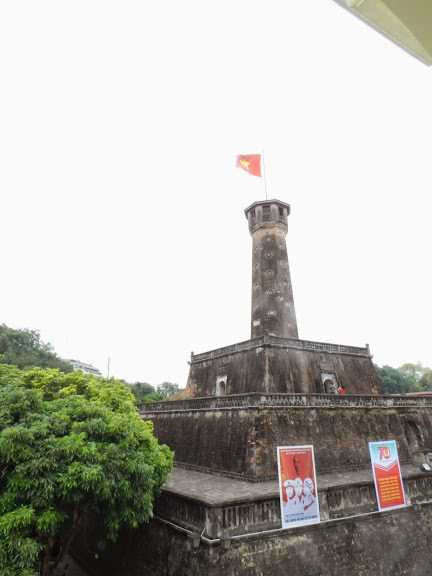 This is actually found along the walls of the main road heading up into Long Bien Bridge. Quite a pretty sight that stretches for a couple of miles. Unfortunately, I wasn’t able to get any good shots from my Xe Om. I also spent slightly longer at this next stop. 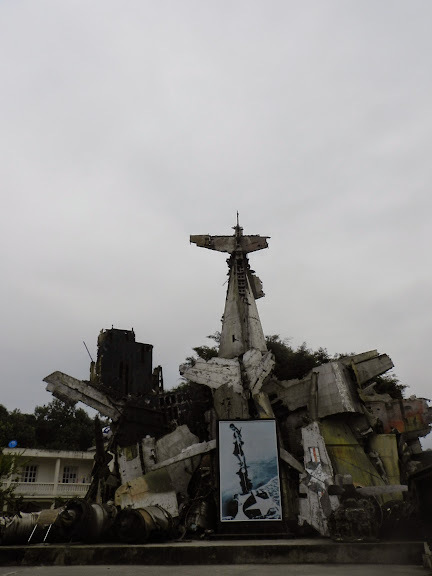 If you’re a war buff, this has to be a ‘must-visit’ place in Hanoi. They have quite an impressive collection of war vehicles, planes, armoury, cannons, etc. either collected or reconstructed from the Vietnam wars. My tip for those wanting to visit here would be to come EARLY! Strangely, they close at about 12-12.30pm В so it would be best that this be positioned as early as possible in your itinerary. After completing your morning tour on the Xe Om, spend the rest of the afternoon walking along the streets of the Old Quarters to buy some souvenirs or just plain shopping! 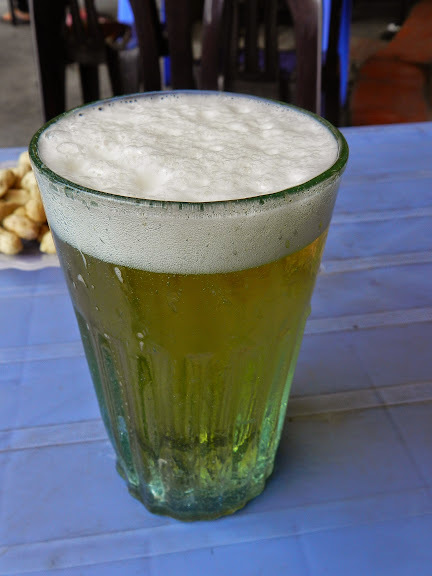 Cheapest beer in the world? It tastes great too! 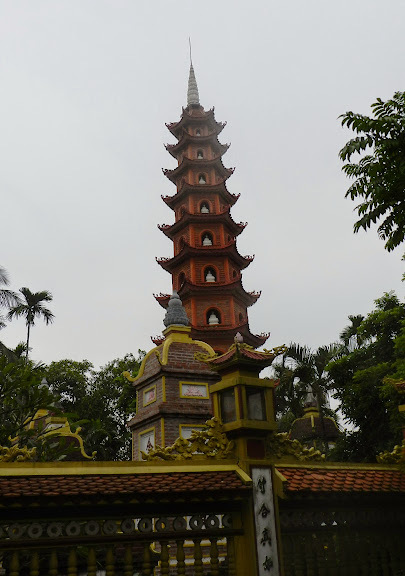 With half the day gone, what else is there to do in Hanoi for theВ evening ofВ Day 1? Stay tuned for my proposed itinerary in my next blog! Football fans live for moments. Moments when their team wins a treble of trophies with two goals in injury time. Moments when their team goes through the entire season undefeated. Moments when their team rallies back from a 0-3 haltime deficit to win the Champions League. Slightly more than a month ago, on 11 December 2014 to be exact, I experienced watching a football match in VietnamвЂ™s My Dinh National Stadium. However, this was quite simply not an ordinary match. Some unexpected and unwanted events leading up to this match made it one of the most memorable football moments in my life. 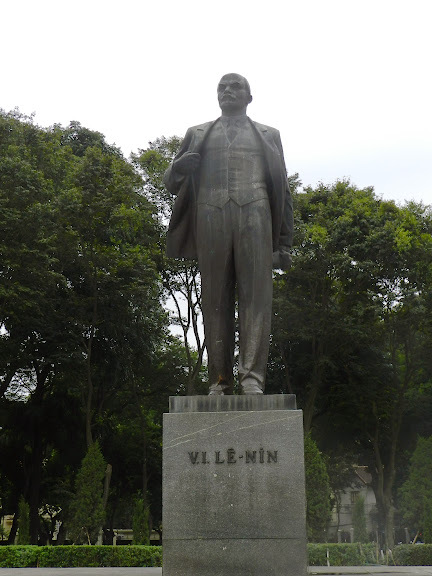 This is my tale of the events that transpired leading up to this epic moment in Hanoi. 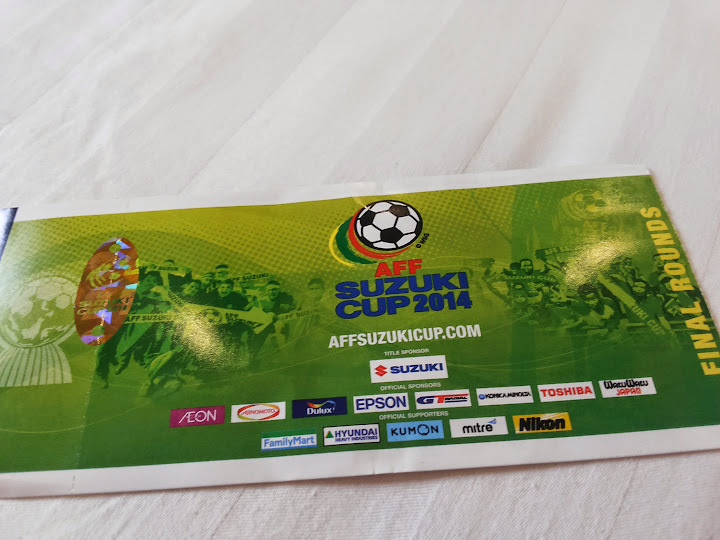 The AFF Suzuki Cup is arguably this regionвЂ™s most revered football tournament. On 29 November 2014, Malaysia had just came back from the brink of elimination to score two very late goals and beat defending champions Singapore 3-1 in their final group match. The victory meant that against all odds, Harimau Malaya, as the Malaysian football team is affectionately called, had just qualified for the Semi-Final stage. As runners-up in Group B, Malaysia would have to play Group A champions Vietnam whilst Group B champions Thailand would take on the Philippines in the other semi-final. 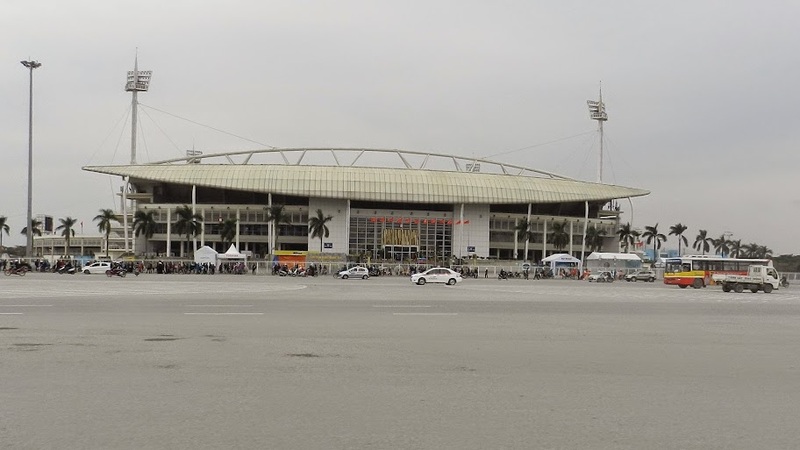 The first leg of the semi-final between Vietnam and Malaysia was to take place in Shah Alam Stadium, Malaysia on 7 December 2014 and the return leg would be in My Dinh Stadium, Hanoi, Vietnam on 11 December 2014. 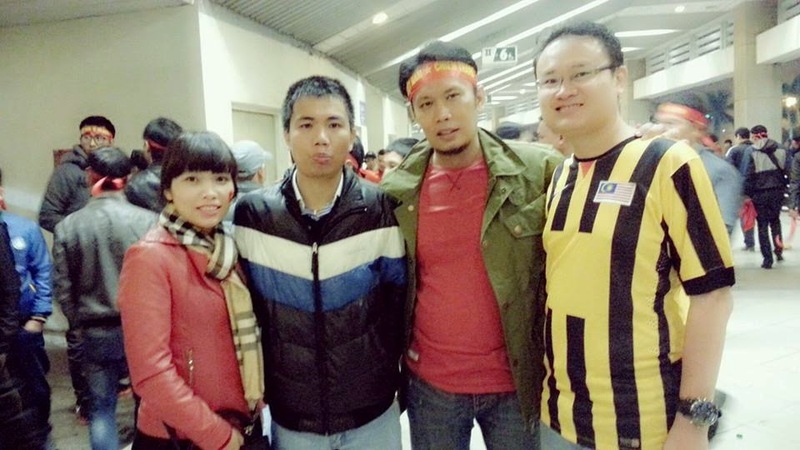 On 7 December 2014, Vietnam came into Malaysia for the first leg encounter, totally controlled the match, made a mockery of our football and went home deservedly with a 2-1 victory. Unfortunately, this match would not be remembered for this victory. Suddenly, the trip to Hanoi didnвЂ™t sound so welcoming anymore for any Malaysian, more so for any Malaysian who wanted to step into My Dinh Stadium for the second leg! I thought about it for a while (maybe about 5 seconds) before deciding I would still try to get the tickets since I would already be there anywayвЂ¦. вЂ¦.but I soon found out that getting those second leg semi-final tickets was so DIFFICULT it might as well have been listed down as one of HerculesвЂ™ labors! Unlike the Philippines, Thailand and Malaysia, Vietnam didnвЂ™t have an official football ticketing hotline portal where fans could simply make their bookings in the comfort of their home. Believe me, I had been regularly visiting the AFF Suzuki Portal DAILY for updates on their 2nd leg ticket sales but there seemed to be none. The closest I found was some вЂalealeвЂ™ Vietnamese ticketing site which apparently has sold some football tickets online before. Unfortunately, the site didnвЂ™t seem to have any information on the AFF Suzuki Cup match either. In desperation, I even started browsing numerous Vietnamese websites with the tags вЂVietnam vs MalaysiaвЂ™, вЂSuzuki Cup Semi FinalвЂ™, etc.В but to no avail. 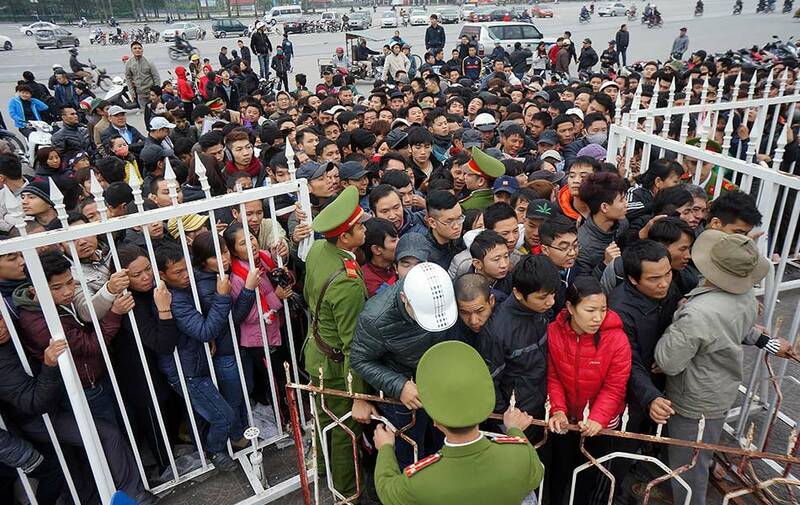 Many of those sites only increased my frustration by showing photos of local Vietnamese football fans queueing up to buy the tickets from outside the stadium! It was obviously hopeless to book the tickets online. Sigh. In the end, I realised that my only hope was to go directly to the stadium in Hanoi to see if they have any special tickets allocated for Malaysian fans there. 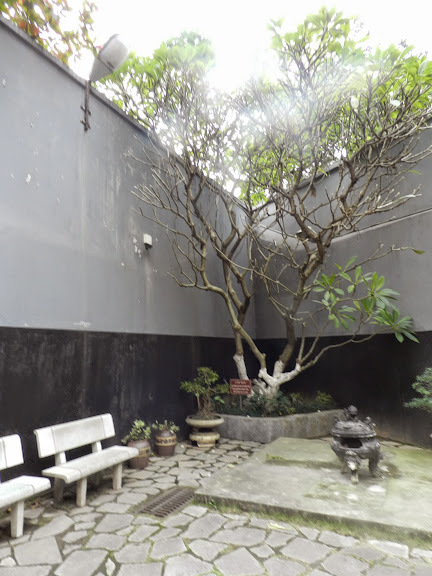 After I had checked into Paradise Boutique Hotel in the Old Quarters, I excitedly told the hotel staffs there that I wanted to buy a ticket to watch the football match tomorrow. With a horrified look, they all exclaimed in unison that ALL the tickets would have been sold out by now already. They continued to say that the only way I could get a ticket now was only through the black market touts, which was apparently quite an embarrassing industry in Vietnam whenever big events such as this one came up. I must have been totally stunned or speechless for a few minutes because the hotel staffs then tried their best to console me by making some phone calls to their friends to confirm the вЂsold-out ticketвЂ™ news. They even tried to call the stadium itself but there was no answer. In the end, they offered for me to watch the match on the hotel TV with them tomorrow night. Early the next morning, I went out and flagged a Xe Om (motorcycle taxi) back to my hotel, where I sought the help of one of the hotel staff to translate my desire to charter his services for the next 4 hours. 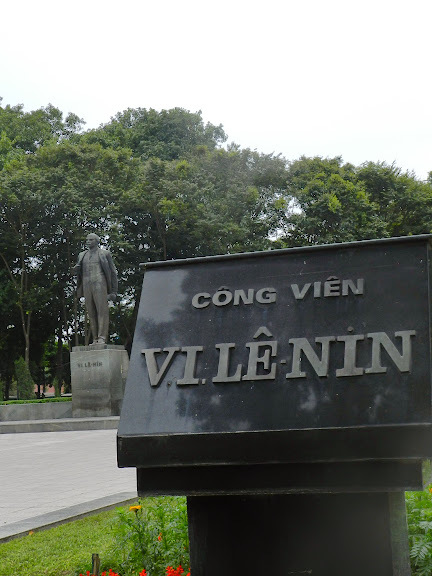 I calculated that I would need about one hour to get that elusive football ticket and the remaining 3 hours sightseeing around Hanoi. 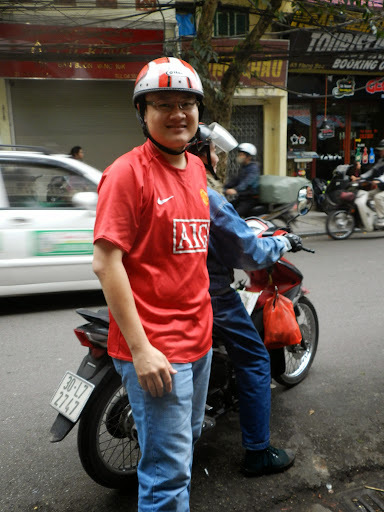 After agreeing on a price, the Xe Om rider suggested that before heading out to My Dinh, we could try out a ticket office at a smaller stadium in the city area first. I was glad that I had picked a rider who certainly knows where to buy football tickets! Unfortunately, the situation was pretty much the same as the smaller stadium we just came from. There were some locals with a handful of tickets, offering to sell them to me for as high as VND 1.5M (USD75)! I tried my best to explain to them I was looking to buy any special allocated tickets for Malaysian fans, but it was rather hopeless since none of them spoke any English. I then motioned for my rider to take me into the stadium compounds to see if the there was any ticketing office open inside. So we rode around the stadium for a while but couldnвЂ™t see any opened counter either. At that time, some Vietnamese high school students were either hanging out on the stadium grounds or warming up for some activity there. My rider decided to stop and asked them if they knew where the ticket counters were. When the school children found out I was from Malaysia, their tones startedВ to change. Some chuckled and some jokingly (I hope) carried some athletics gear or staff towards us. Then one of them gave the universal call sign which struck me immediately. I should try calling the Vietnam Football Federation (VFF)! Now, why didnвЂ™t I think of that in the first place?! After a quick google, I found the website with the phone number but there was no answer on the other line! So with an apologetic wave, we left the students and was about to exit the stadium compounds when my rider proactively stopped a lady near the side of the road. After some exchanges of Vietnamese, the lady pointed her finger to somewhere across the main road from the stadium. Without delay, he took me across the main road towards the direction pointed out by the lady and before I knew it, I had arrived at the very gates of the VFF! It was just slightly after 10am that morning which led me to accept the possibility that the office may not beВ opened yet. 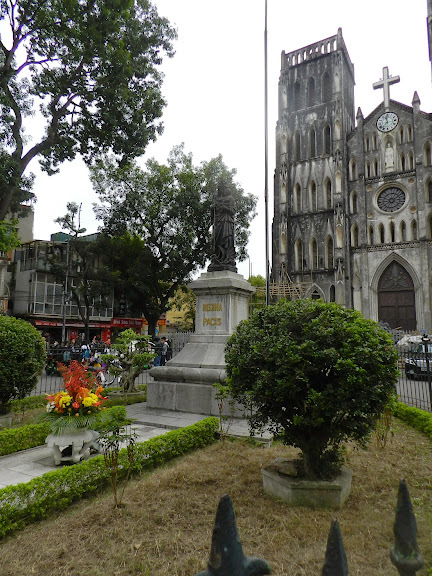 In a cheerful mood, I left the VFF and went about on my sightseeing tour of Hanoi (which shall be blogged about within the next few weeks..). About two hours later, I received a phone call from this same officer from VFF, who sounded rather distressed. He told me that he made a mistake. The section where the Malaysian supporters are supposed to be seated is C10 and NOT D10! It meant that I would possibly be the only Malaysian sitting amongst the Vietnamese that night! He then offered me a full refund if I wished to return the ticket back to him. Since I was already back in the city area, I said it was OK and I felt safe to sit with the locals there. After going through such an ordeal to get my hands on the ticket, giving it up was the last thing on my mind! The match was supposed to kick-off at 7.00pm. 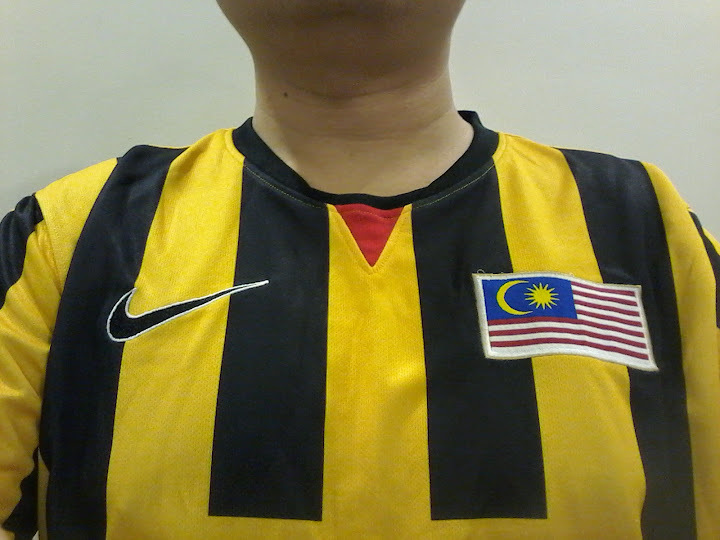 So at 5.00pm, I suited up in my Malaysian jersey (yeah, somehow passion overwrites sanity when it comes to footballвЂ¦) and made my way down to hail a taxi. 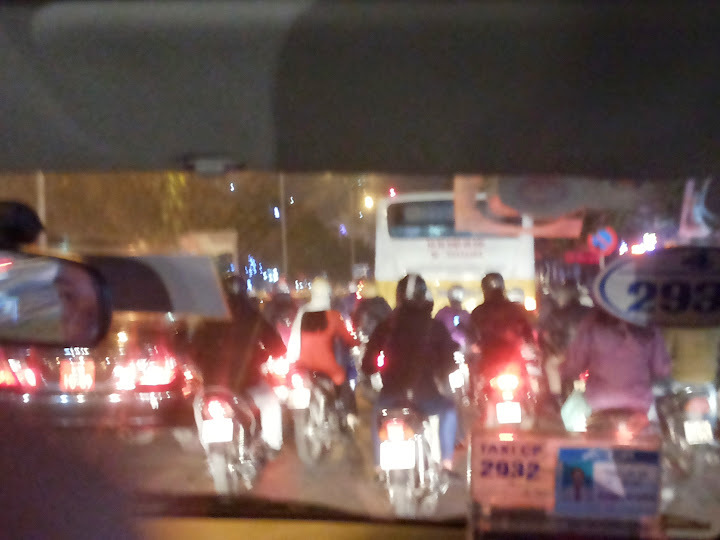 I t was then that I realised I had underestimated the Hanoi after-office traffic! Not many taxis were able to come INTO the Old Quarters as with heading out TOWARDS My Dinh at that time of the day! 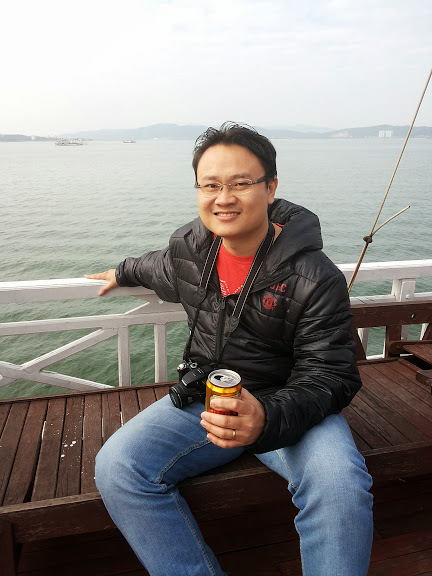 Even Xe Oms were not really keen to go anywhere near My Dinh that evening. My mind raced frantically for options. Should I pay a premium price for any Xe Om or taxi crazy enough to take me there? Should I start running there on foot like, now? Just then, a local couple checked into the hotel. Apparently, they were from the South, probably Ho Chi Minh area and they came up to Hanoi because the husband, whom I shall refer here as Bro V, had wanted to watch the match too! With the help of the hotel staff, we both agreed to travel together and share the cost of a taxi. In my heart, I thought it could also be safer for me to travel together with a local too. Phew! After several restless minutes waiting trying to hail taxis outside the hotel, Bro V and I eventually found a 7-seater taxi (Innova, I think) to take us there. Actually it was more like forcefully getting ourselves into the taxi and demand that we be taken to My Dinh! The ash-stricken face of the driver was likeВ he had just been mugged by two football fanatics! Anyway, the traffic that night was simply HORRIBLE. 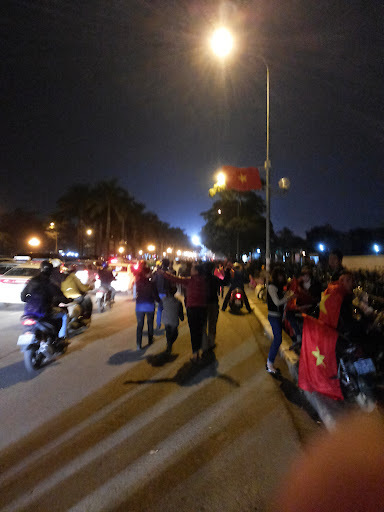 It was as if the entire city of Hanoi was headed to My Dinh to watch the match! The taxi virtually stopped every minute and visually it looked impossible to even get to the stadium at all! Of course, I have to salute our taxi driver for that night as well. 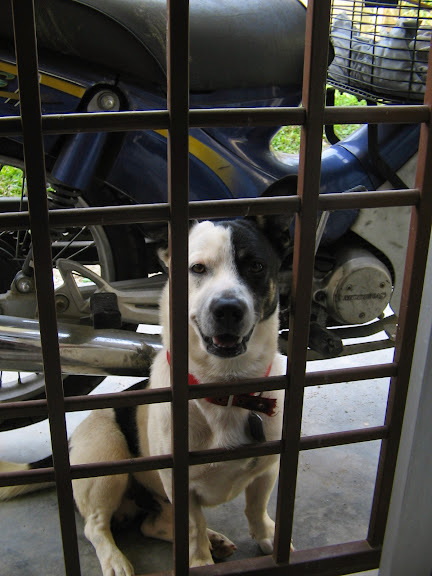 Knowing that the both of us had a football match to catch, he practically took many shortcuts through housing areas and drove as if he rode a motorcycle! The jam was also so frustratingly long that it was already 7.00pm (kick-off time already!) when we got stuck at some roundabout along the main road where there was a continuous stream of vehicles inching their way towards My Dinh. Although we couldnвЂ™t understand each other by language, Bro V and I nodded our heads in agreement as if we were in a Vulcan mindmeld. We quickly paid the driver his fare (plus a tip too for braving himself to come this far!) 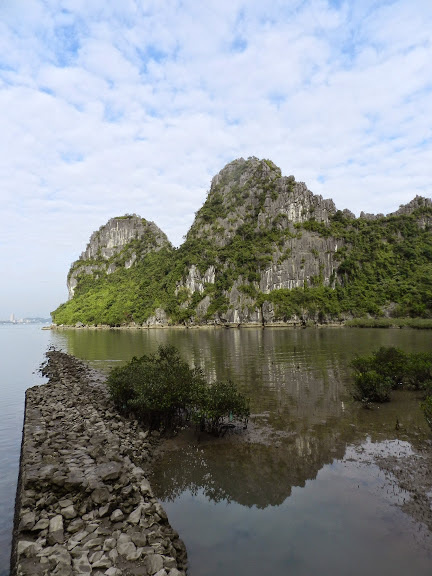 and disembarked there as we proceeded on our journey to My Dinh on foot for another 2 or 3km! Determination had taken over! Although the walk was pretty far (by my flabby standards..), my legs didnвЂ™t really feel tired at all. Perhaps the brightly lit stadium acted like some beacon of light, drawing us nearer and nearer to it. As we got nearer, the stadium lights felt brighter and our bodies felt recharged as well! 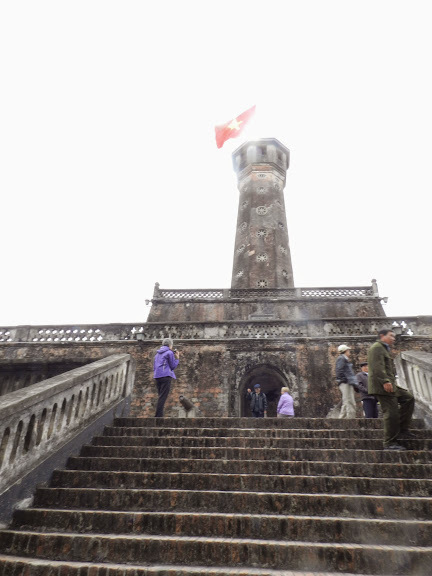 So it wasnвЂ™t long before we arrived at My DinhвЂ¦. Wefie with Bro V upon arrival at My Dinh!! вЂ¦only to discover that there was a 500 meter queue of humans, holding and waving their tickets in the air, trying to gain access to enter the main gatesвЂ¦.and it was already 7.15pm!! This was where I said goodbye to Bro V, who managed to conveniently squeeze himself into the queue. 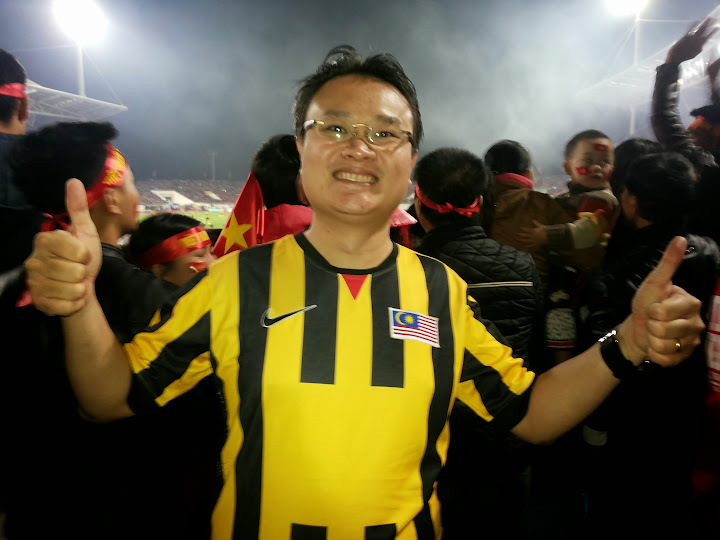 Of course, it was easier for him because he was a Vietnamese and also NOT wearing a Malaysian jersey! Sigh. 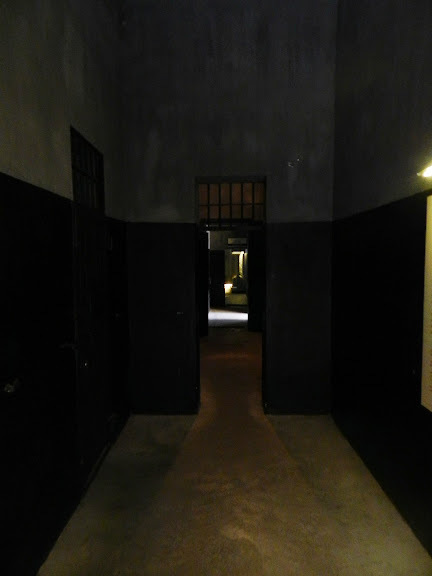 On my own, I wandered aimlessly until I found a security personnel and asked if there was any other entrance. All I got was a shrug. *&*&^%##@ So I slowly walked along the entire queue of humans to to survey if there are any Malaysians there which I could вЂtumpangвЂ™ and queue in together. Alas! There was NONE!!! вЂ¦right into the immeasurable thousands of Vietnamese fans blocking almost every other available inch of the opening section of the ramp! I was completely surrounded by an ocean of red-coloured local fans cheering their team on loudly. The entire atmosphere that night was electrifying. Saying My Dinh was a full house that night was an understatement. It was clearly an over-capacity crowd. Most of the fans were not only standing, some were even standing on the top of the seats! I scanned around the over-populated Section D and came to one simple conclusion: I was NEVER going to get to my seat that night, EVER. Anyway, that didnвЂ™t matter much because I had finally MADE IT there! And to make things sweeter, the score at that moment was already Malaysia 2 Vietnam 0!! 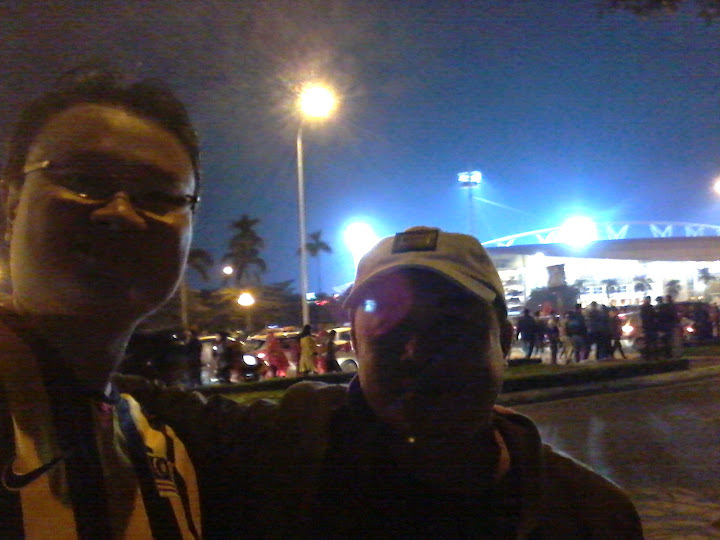 This was when I bumped into Malay guy on my left, which I will name him as Bro H, who was also tip-toeing himself to watch the game. 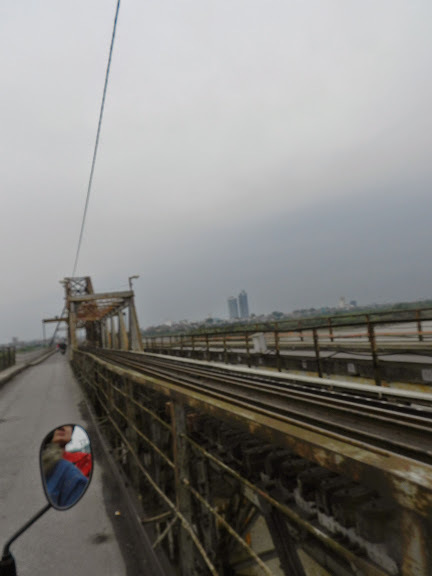 We started to exchange a conversation (something hard to come by in Hanoi!!) and I found out he was actually a Singaporean! He was also there on business with his Vietnamese counterpart (who was also quite dark skinned, by the way) and decided to come watch the match with their wives. Strangely, they only managed to get two tickets in Section D (where we were) and another two tickets in Section C, where both their wives were seated. Suddenly, as we were still chatting and watching the game, Shukor Adnan struck just before half-time to give Malaysia a 4-1 lead! The entire stadium was completely STUNNED.. At this point, I began to felt slightly restless. It was as if more Vietnamese fans just realised there was a Malaysian standing in their midst. I donвЂ™t think the bright yellow Malaysian jersey helped much too. They were still watching the match but I started to feel a little uncomfortable. Perhaps it was a little bit of paranoia but it was then that I asked Bro H if he still wanted to watch the remainder of the match or to leave at half-time. With the away goals also in effect in this competition, Vietnam would now need to score THREE goals to progress – quite daunting even by their standards. Malaysia had seemingly wrapped up the match already. I think Bro H also sensed the same thing so we decided to go and find their wives first. 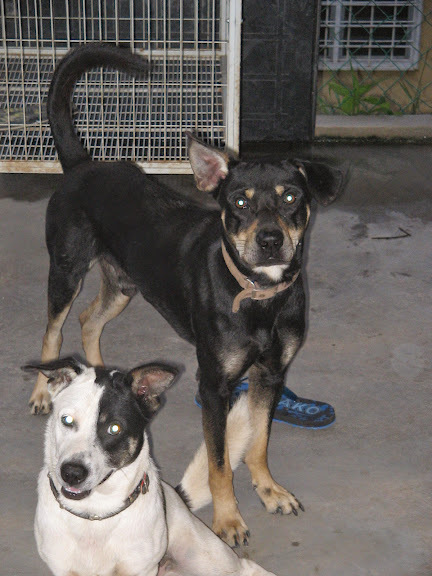 Besides, he also mentioned that they have yet to eat their dinner too. Upon securing both their wives, all five of us quietly proceeded to exit the stadium. But we werenвЂ™t the only ones. Many Vietnamese fans were also leaving the stadium like a wild stampede! It was almost as if the actual match had already ended! Guess these are times where you can see the loyalty of your home fans! Heh. Our immediate challenge was to find a taxi. Strangely enough, this seemingly simple task was made more difficult amidst the chaotic scenes outside the stadium grounds with so many people leaving too! The numerous taxis which we saw parked outside the stadium were quickly snapped up. Bro HвЂ™s Vietnamese friend also tried to make a few phone calls to get a taxi to come to our location but no taxi seemed to show up! For the next few minutes, we tried to remain calm as we patiently waited for any taxi to stop for us. Bro HвЂ™s wife (who was in tudung) also shared her humorous experience where she had to regularly flash her Singaporean passport to many curious Vietnamese fans who kept staring and apparently asking if she was Malaysian! 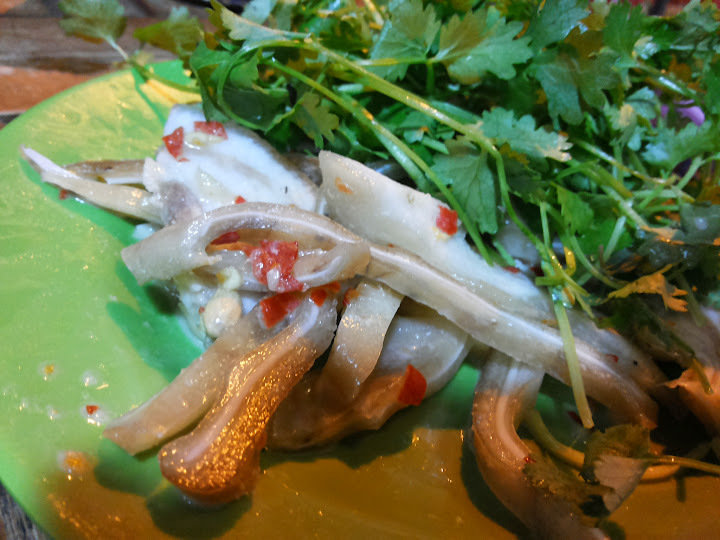 Although I would have loved to have dinner with my new found friends, I politely declined because I also thought that the first thing I should do upon making out of My Dinh was to get myself out of my Malaysian jersey. Certainly didnвЂ™t want to provoke any more anger or hostility on foreign soil! So we got the taxi to drop me off in my hotel first before it continued on to the French Quarters where their hotel were. Of course, we did manage to exchange contacts and goodbyes as I came down at my hotel on that night, capping one of the most memorable football nights IвЂ™ve ever experienced in my life! 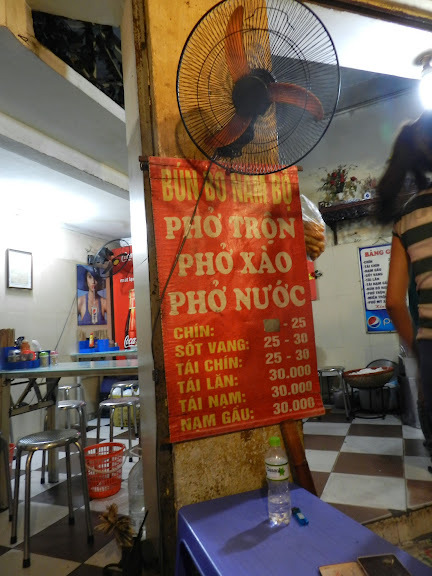 Getting my ticket was already an adventure that was almost as exciting as the experience inside My Dinh itself! My unbelievable and crazy persistence in pursuing the ticket all the way to the VFF is proof that if we continue pursuing something with our whole heart, we will eventually get it! 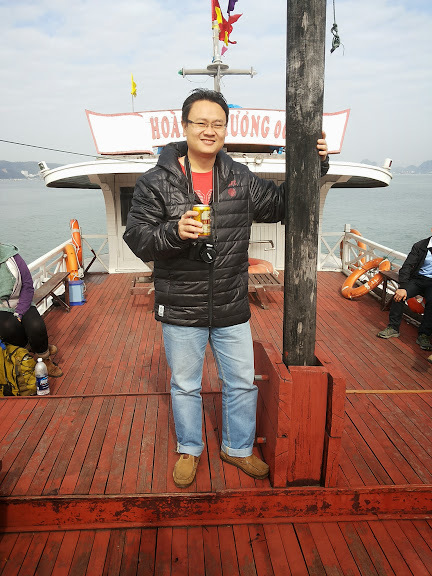 With the euphoria toned down a bit, my senses began to kick back in and I realised that going to My Dinh under the current circumstances that night was already insane! But wearing a Malaysian jersey and getting into the stands surrounded by thousands of local fans? Downright irrational. What was I thinking? Apparently not. Anyway, I am thankful that God continues to protect me despite my idiocy. The presence of Bro V and Bro H are perfect examples of GodвЂ™s amazing timing and provision of relevant people to surround me in my time of need. 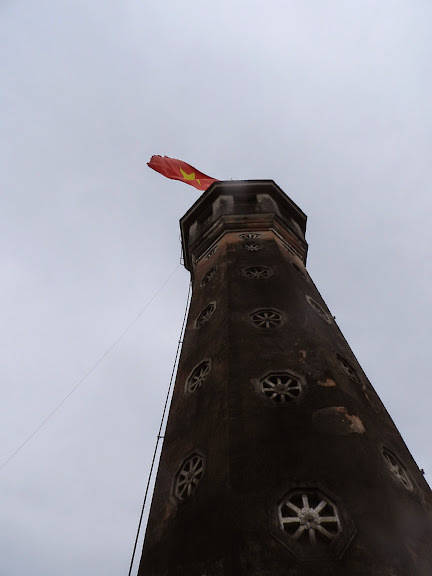 From personal observation inside My Dinh itself, I can say that whilst Vietnamese really love their football, I donвЂ™t think they wouldВ resort to any violence that would tarnish their country. At half-time with the score of 4-1, the Vietnamese were really witnessing a TRASHING in their very own backyard. A loss of focus or an emotional discharge could have easily been triggered here. But the fans remained calm and continued cheering their team on. My fullest respect to the Vietnamese fans here. There’s still hope that LOVE still overcomesВ all forms of violence in football. Seriously I donвЂ™t want to know how would Malaysians respond back home had the situation been reversed? Hmmmm. Mmmmmmm. 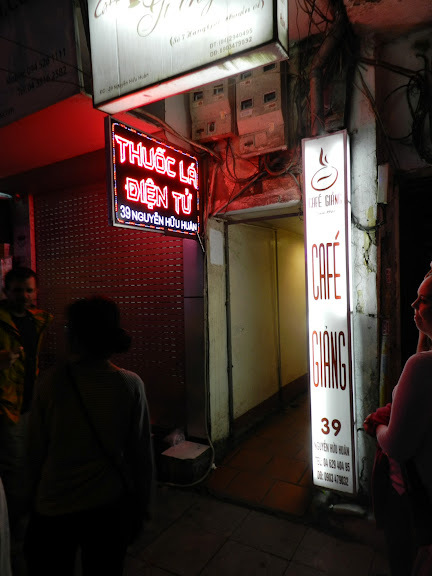 Yes….the hot Vietnamese coffee was definitely good. But it doesn’t even come close to My Dinh. Now that football moment I experienced was something special. Something memorable. A football MOMENT that I will remember FOREVER!